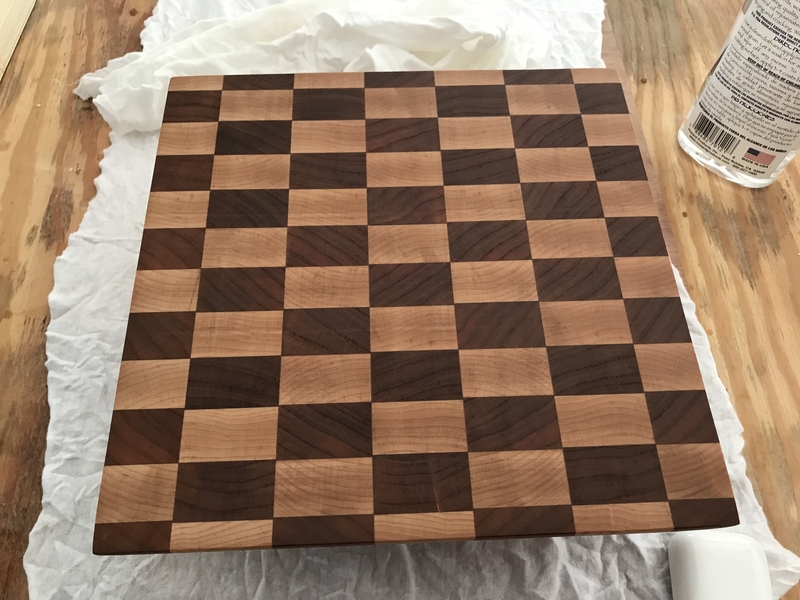 Everyone needs a good hobby. 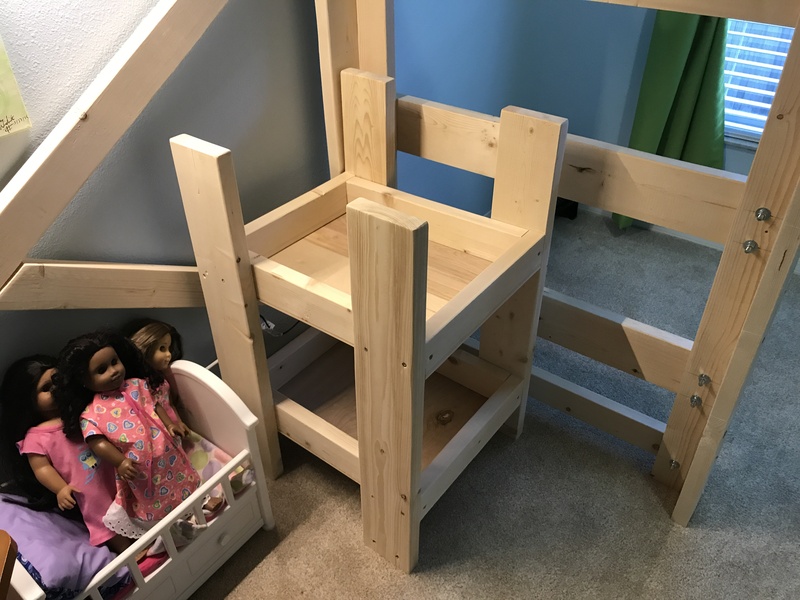 Never in a million years did I think I would ever enjoy building things with wood. 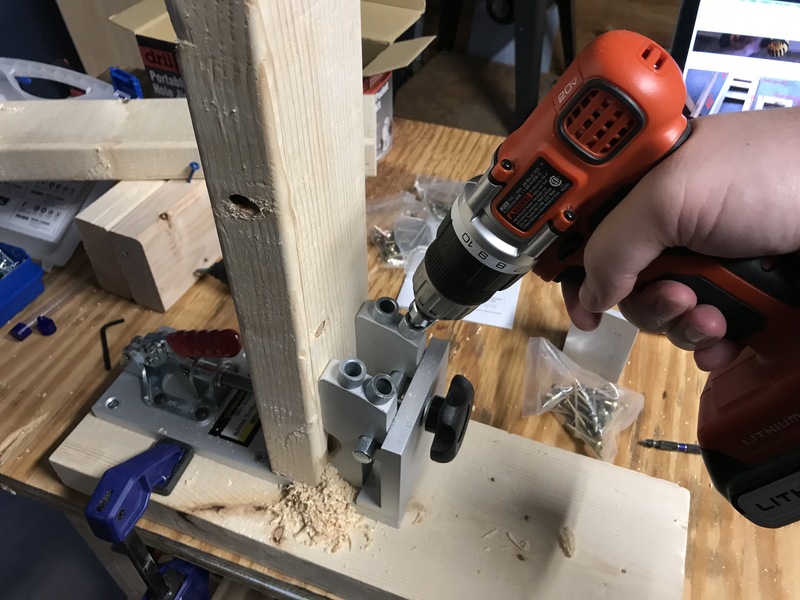 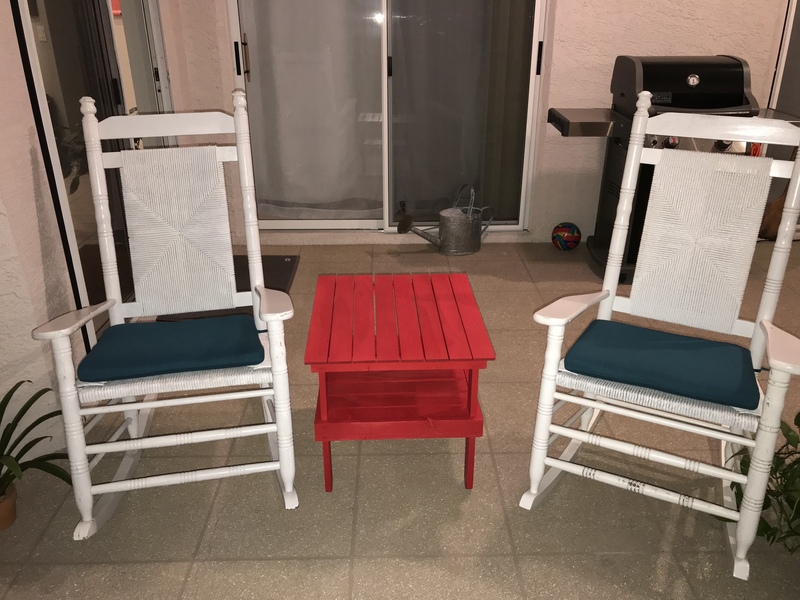 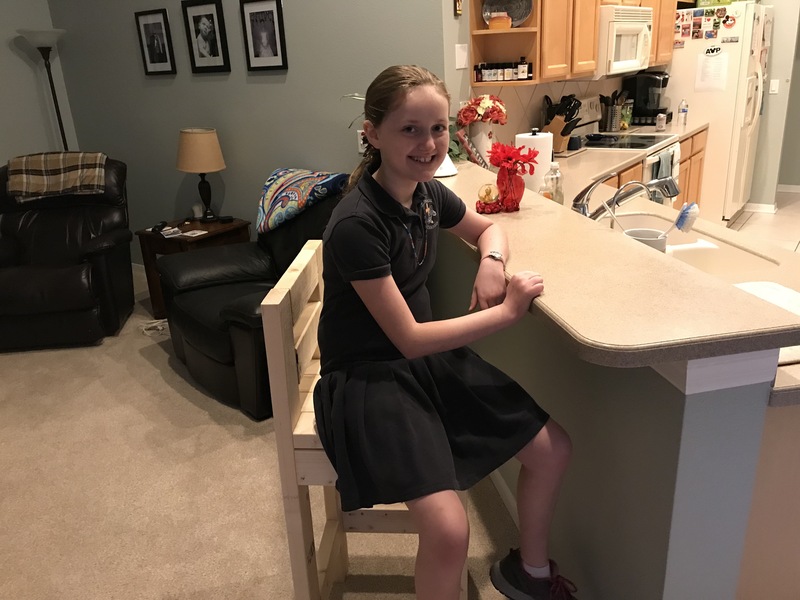 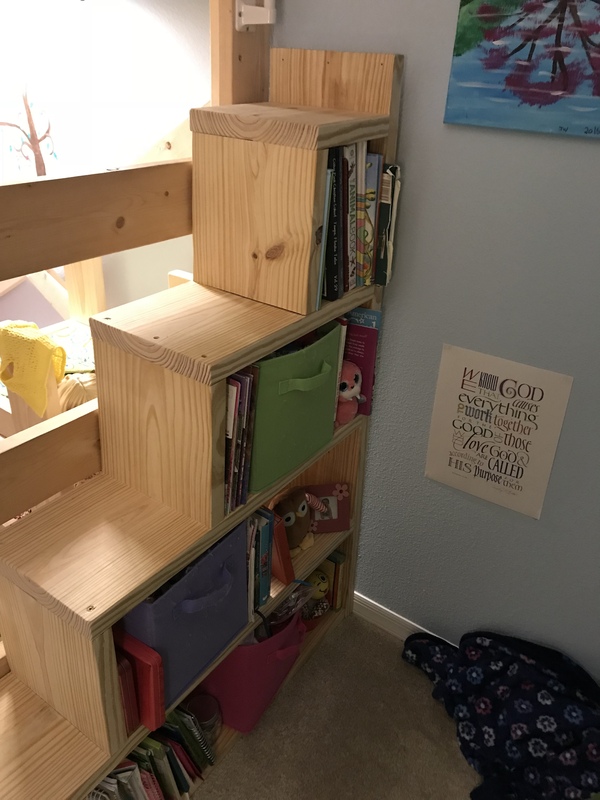 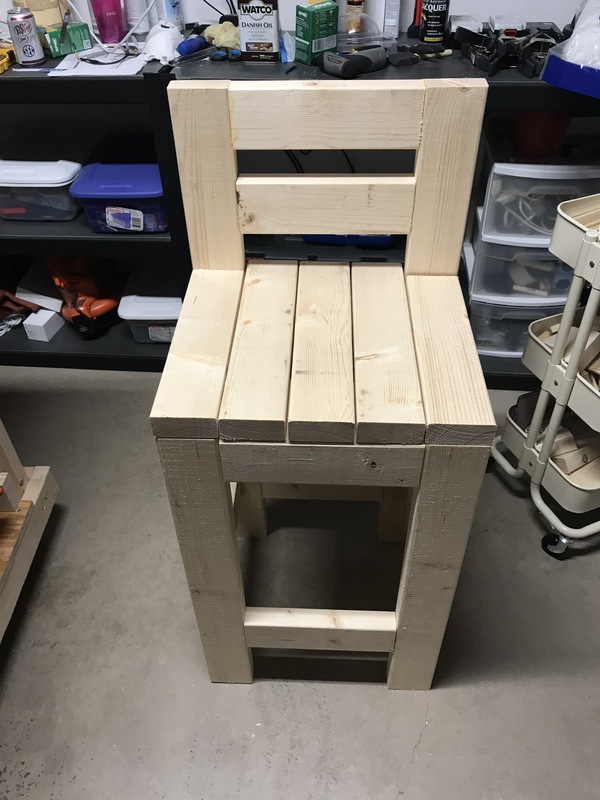 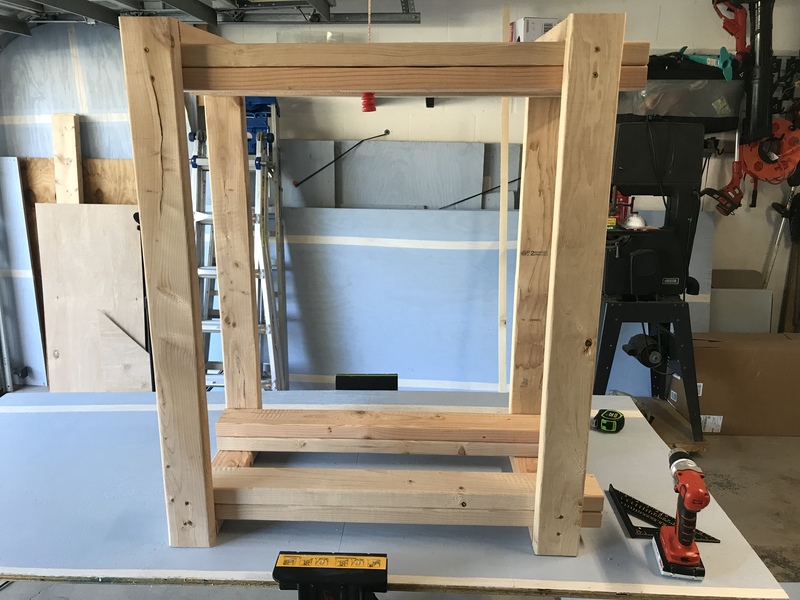 Sure, I loved using building blocks when I was a child (who am I kidding, I still love it…) but I never thought I’d be using nails and screws and saws to build things that matter. 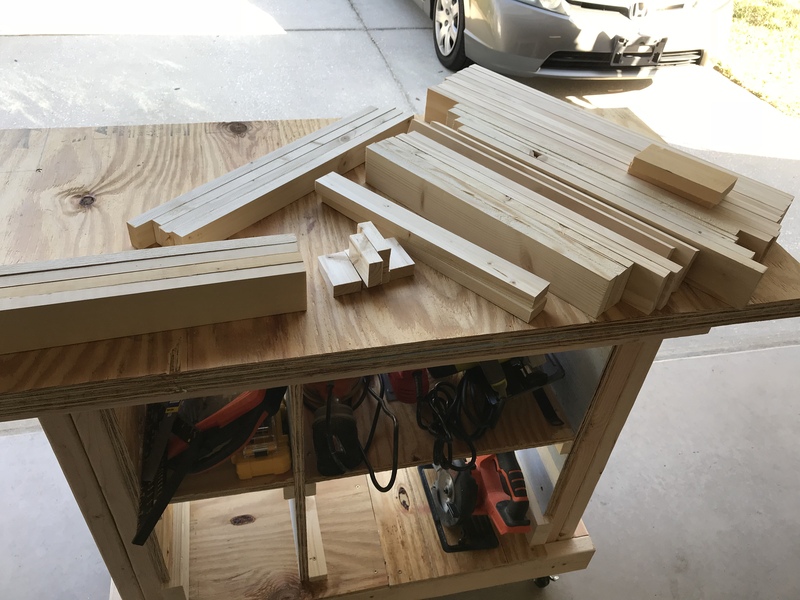 Our garage is the site of what I hope to be many fun and exciting woodworking projects in the year 2018. 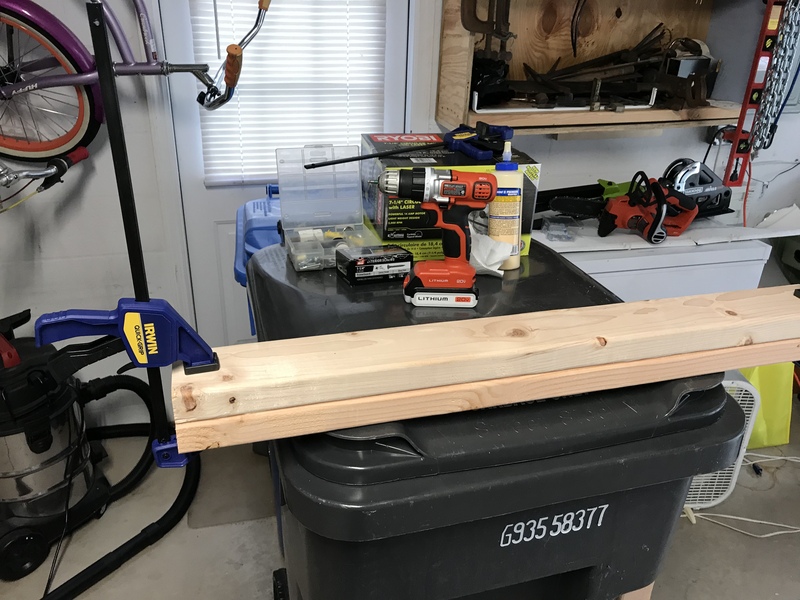 I started with cleaning out the garage from all the Christmas decorations and then spent some Christmas money I received on a few new tools that I’ve been wanting. 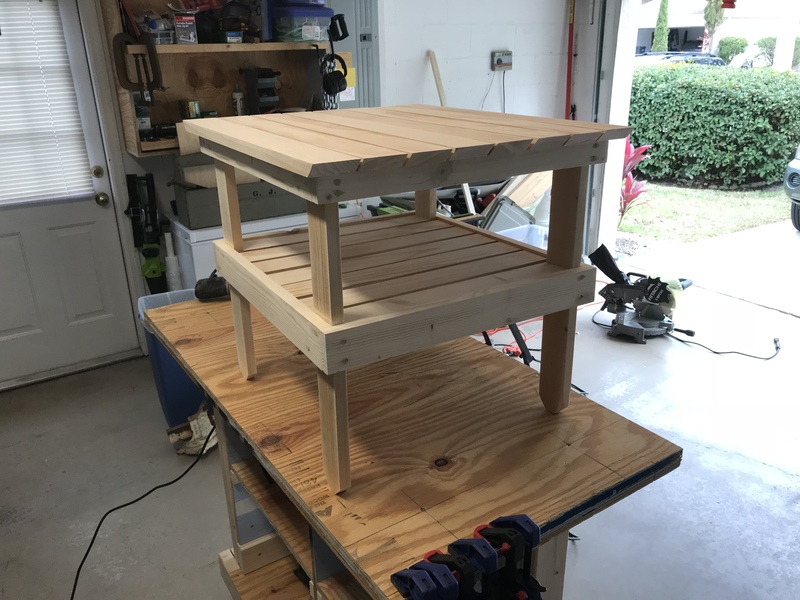 My first project of the year was something I really did need to build first in order to do any other projects in the future. 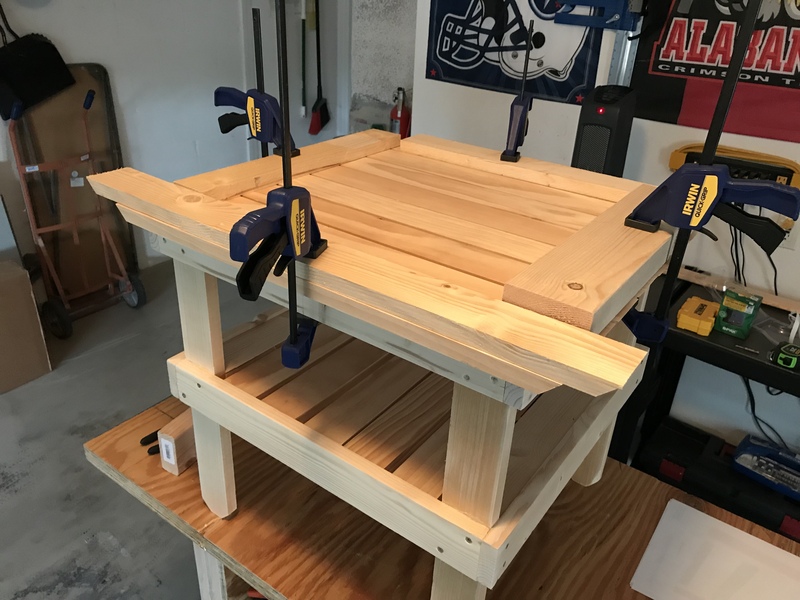 A workbench. 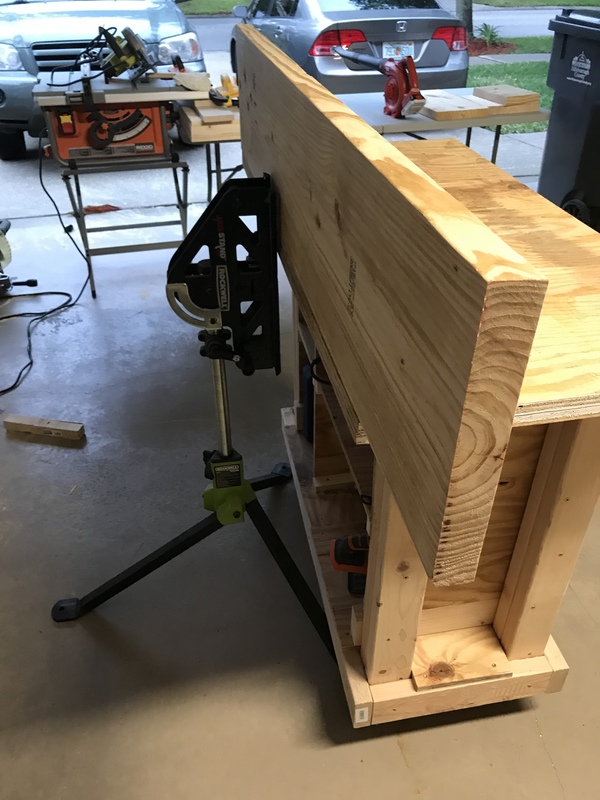 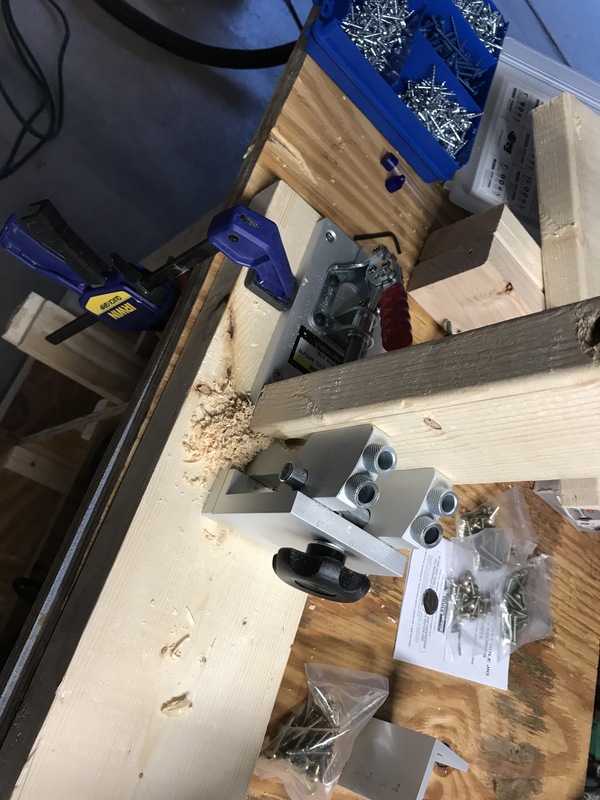 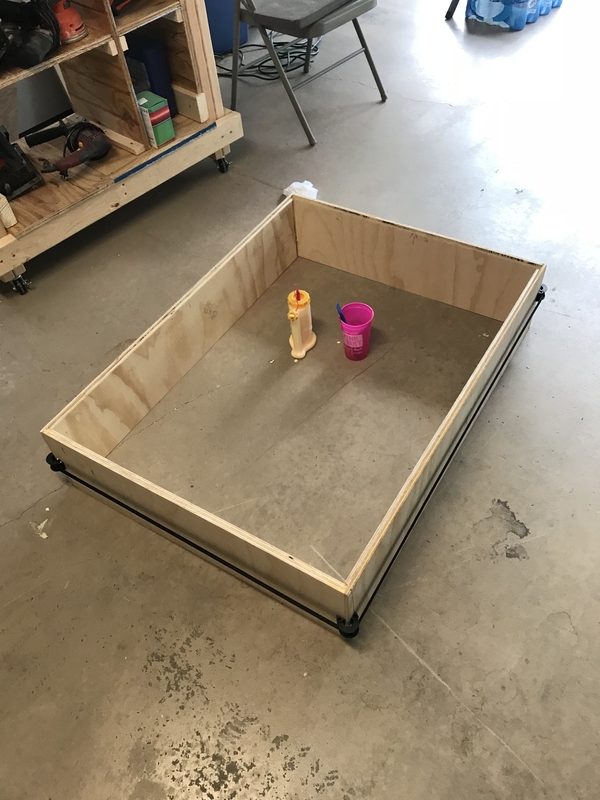 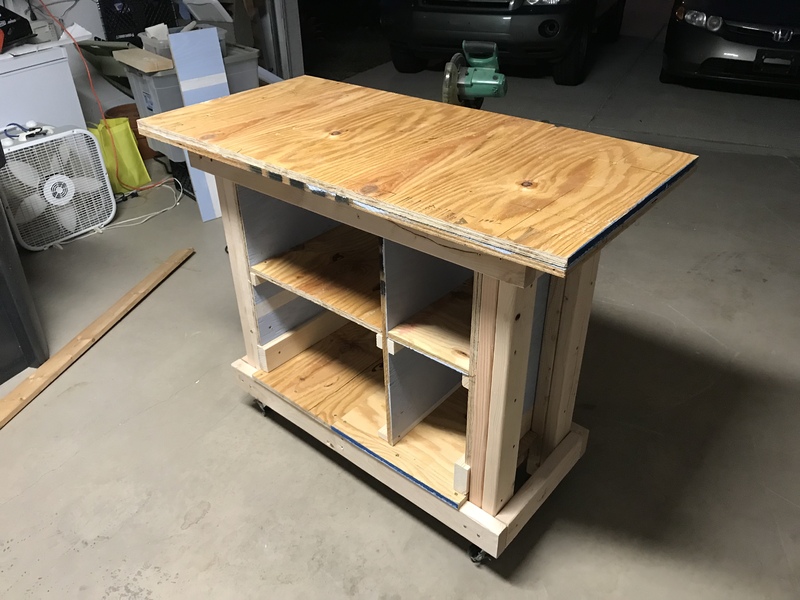 To be more specific, I built a mobile workbench that could roll out of the way when not in use, so our garage didn’t become too cluttered. 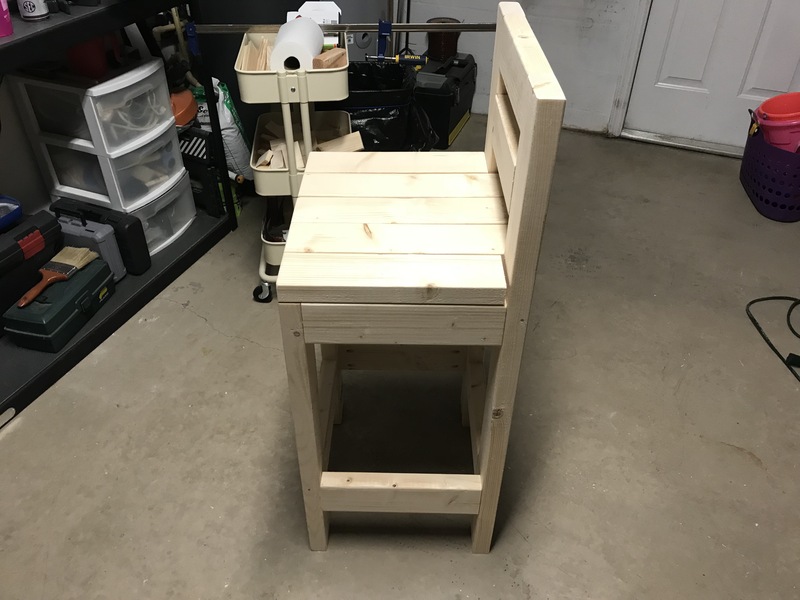 If you’re interested in how I built this, continue reading to see what I did, and how I did it. 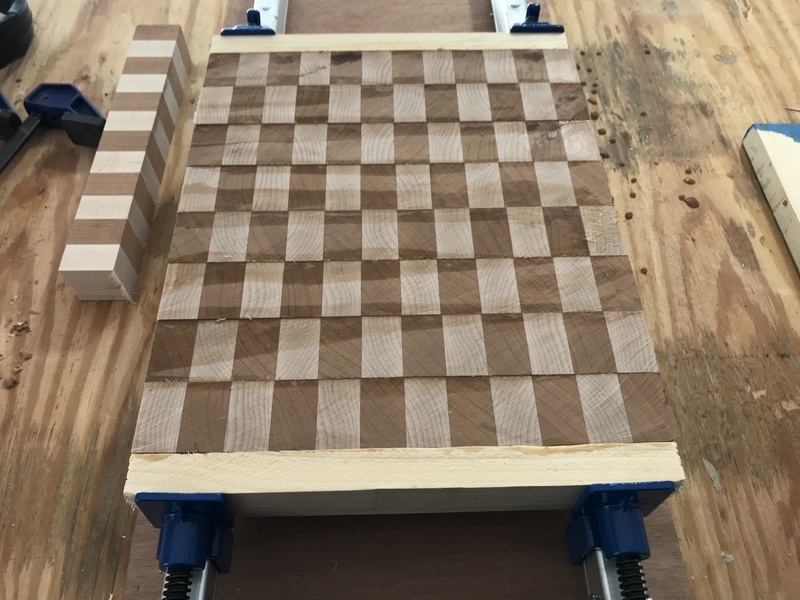 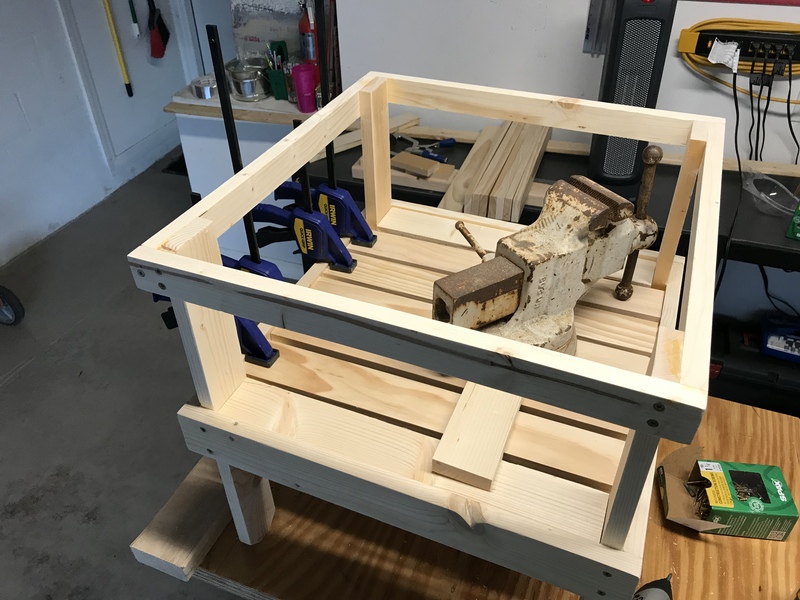 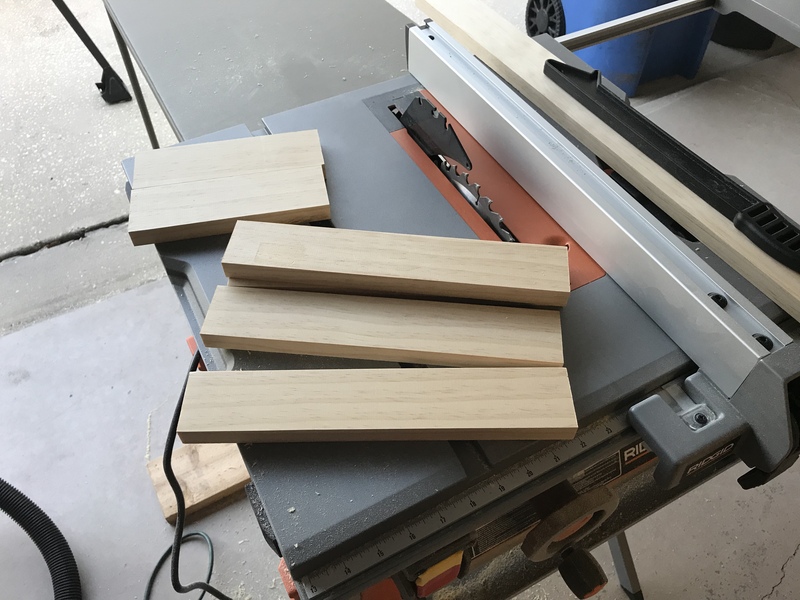 To start – I want to recommend Steve Ramsey and his youtube channel Woodworking for Mere Mortals. 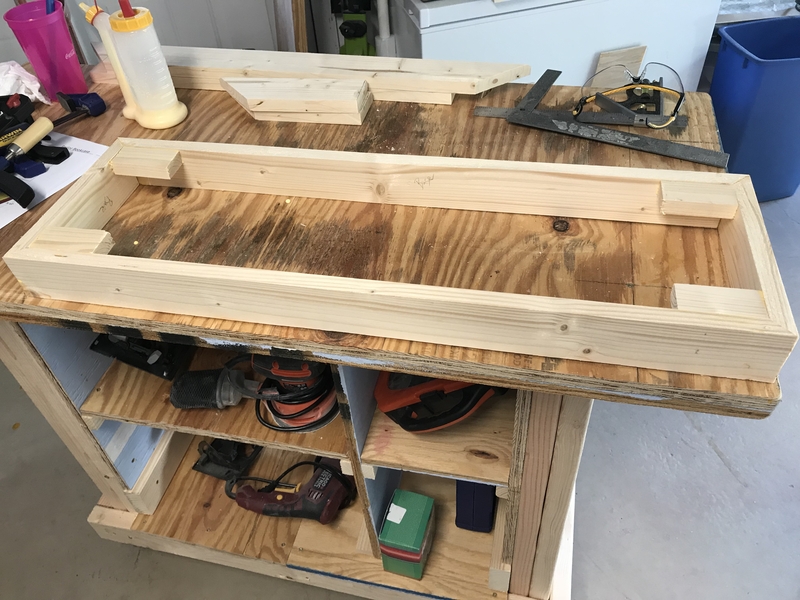 He does such a great job of teaching and explaining how to do things. 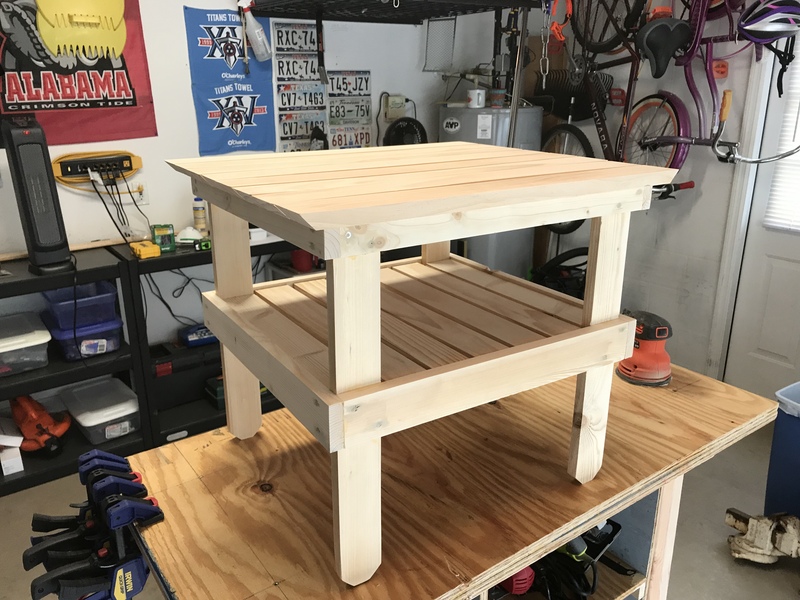 It almost seems like he’s in my garage with me giving me step by step instructions on how to do this. 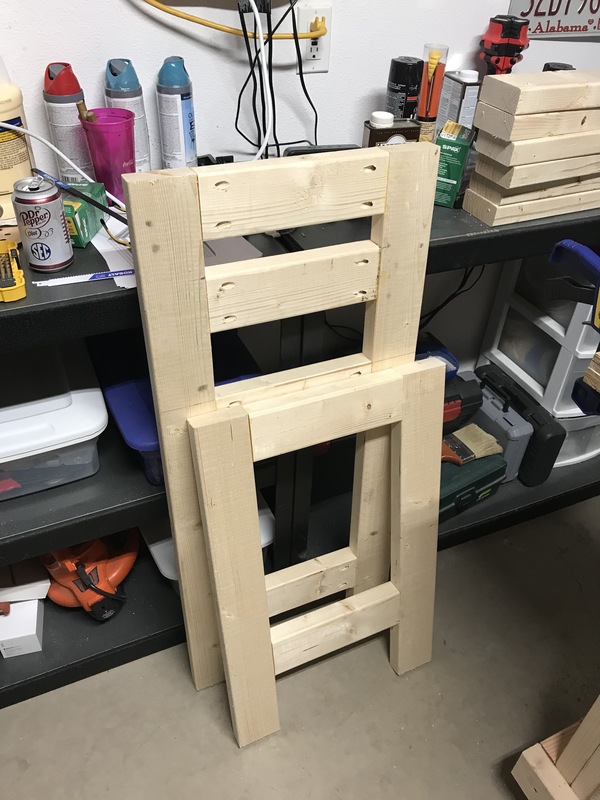 I used a miter saw, drill, screws, wood glue, some 2x4s, and some leftover plywood. 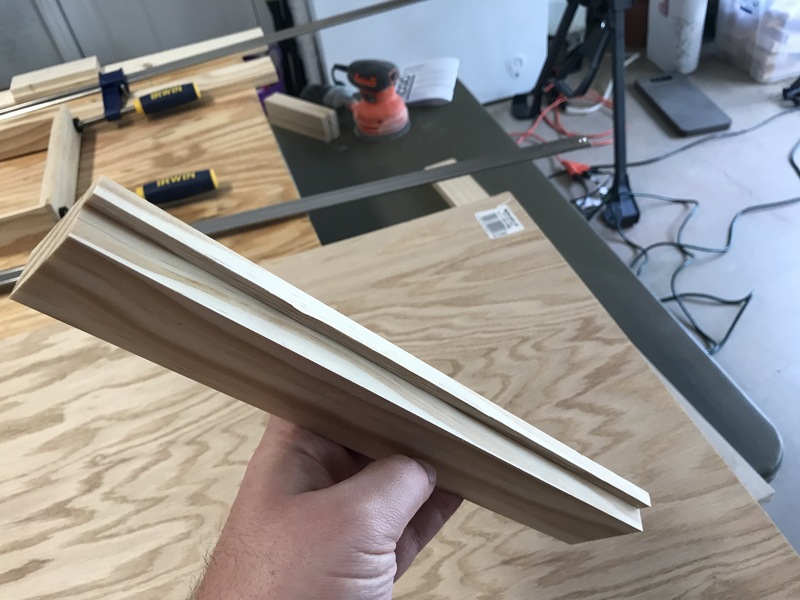 Remember, I had the hurricane boards for my house. 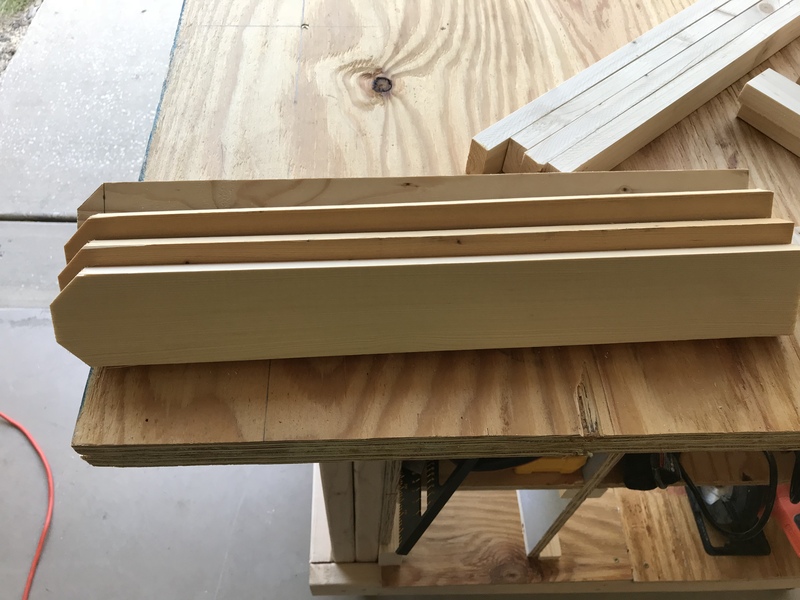 Well, I kept all the ones for the windows around the house, but the back porch boards, we decided that they just took up too much room in the garage, and we don’t really need them since there’s really nothing on the back side of our house except a lake. 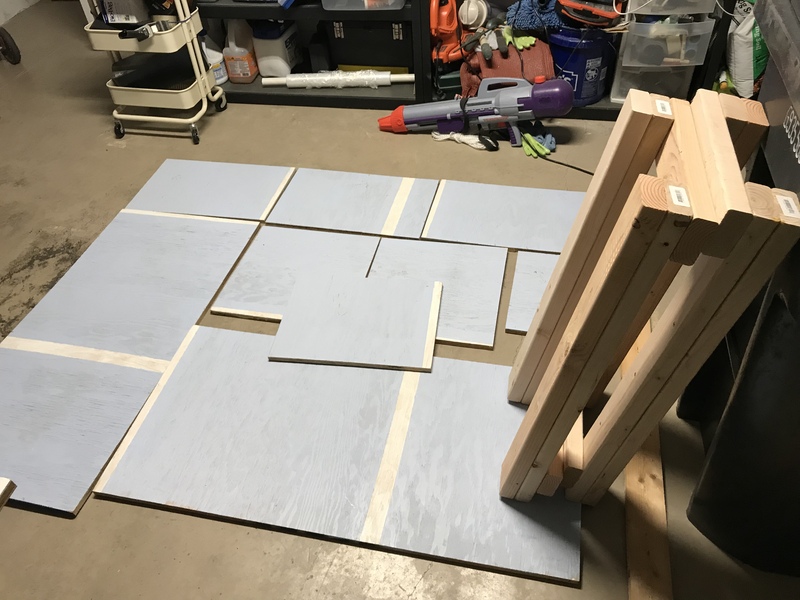 So here’s where I started – a few boards, a Diet Dr. Pepper, and some determination. 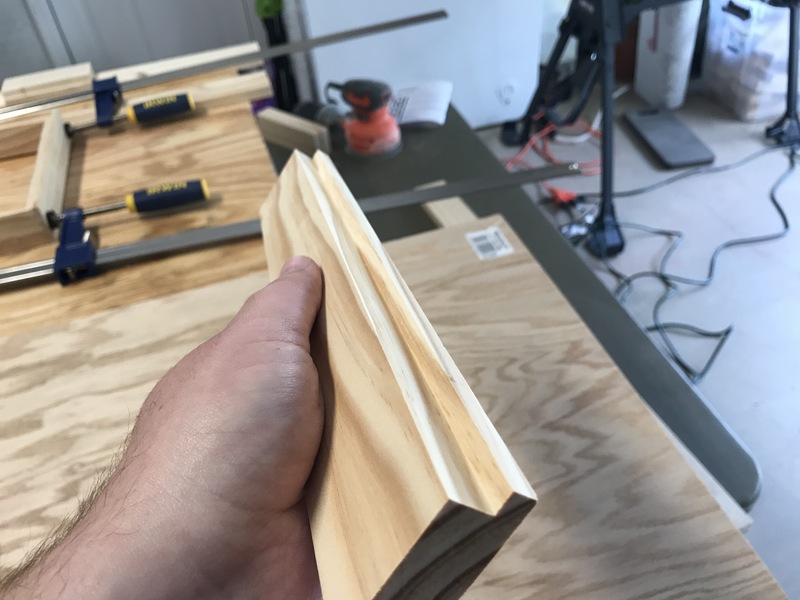 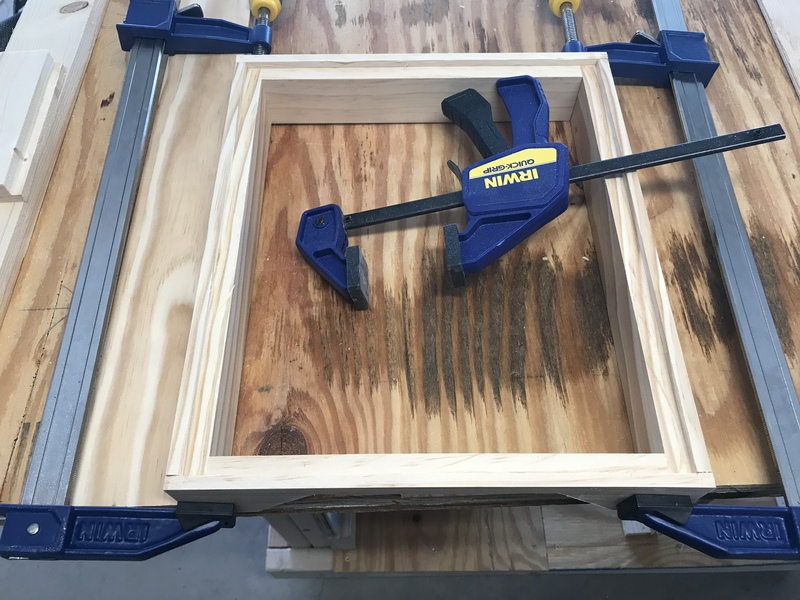 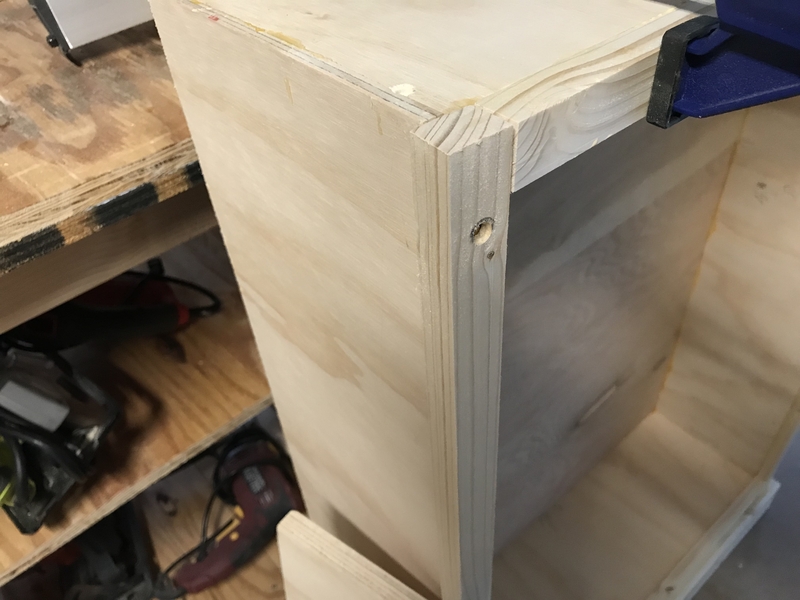 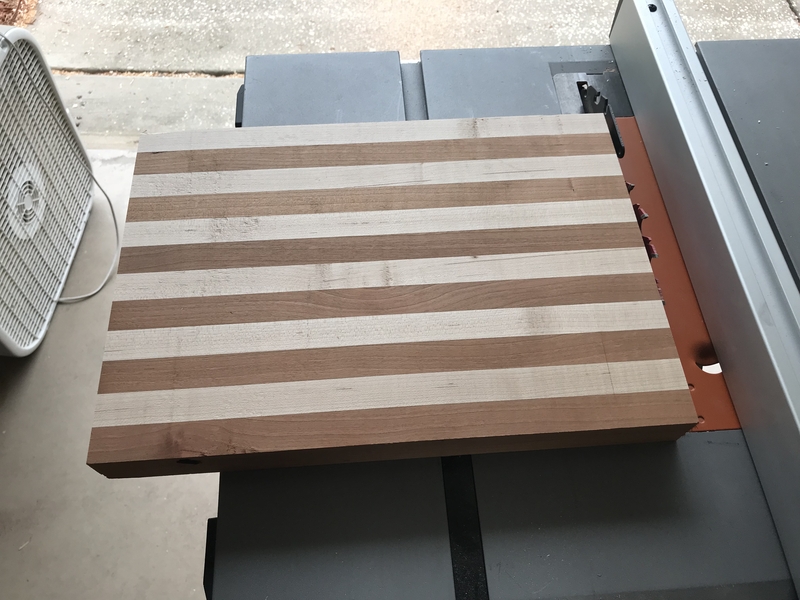 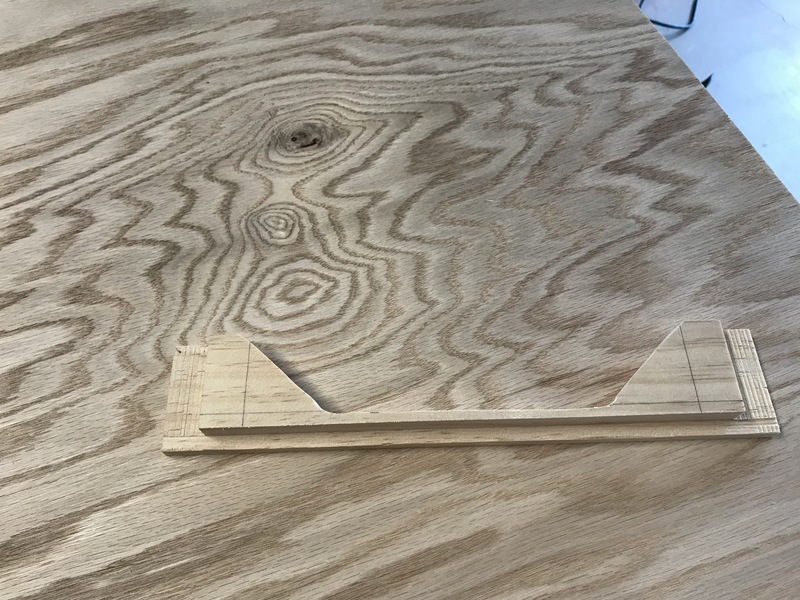 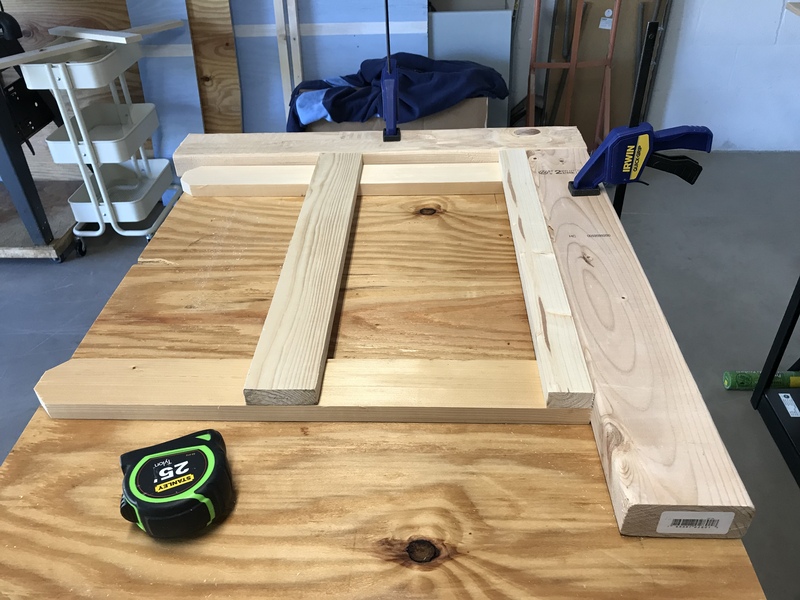 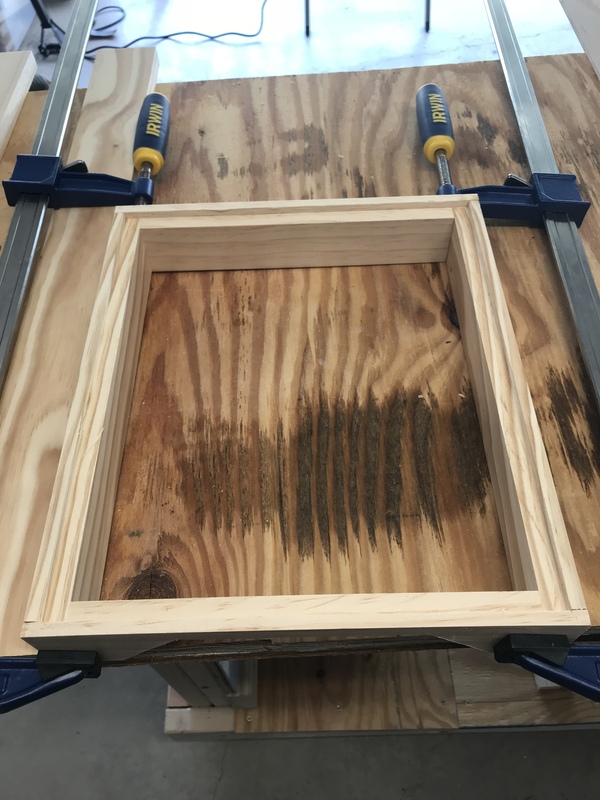 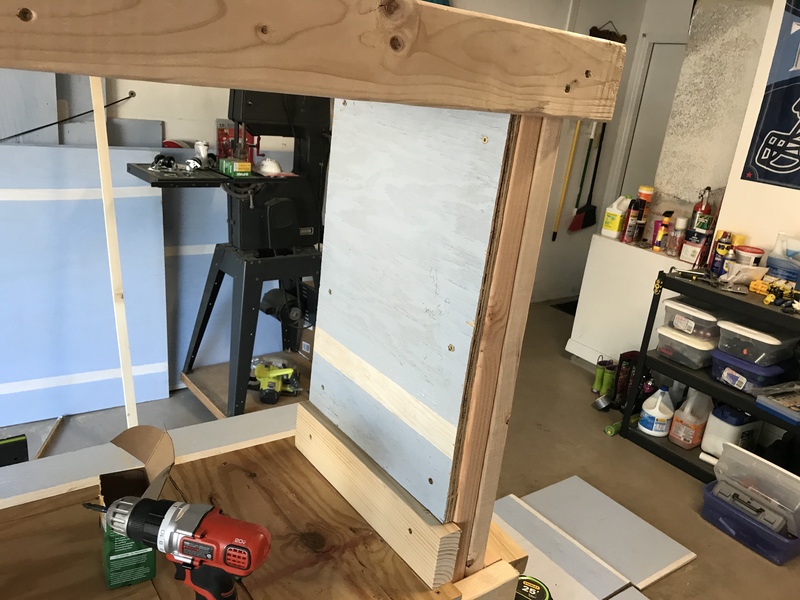 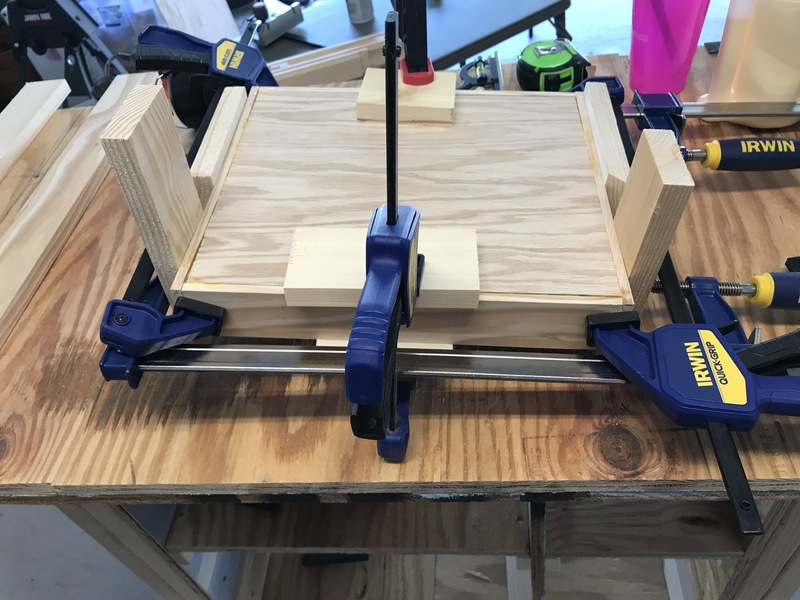 One of the really great things about using the Steve Ramsey videos – he taught me how to use my Mitre saw a lot more efficiently and correctly. 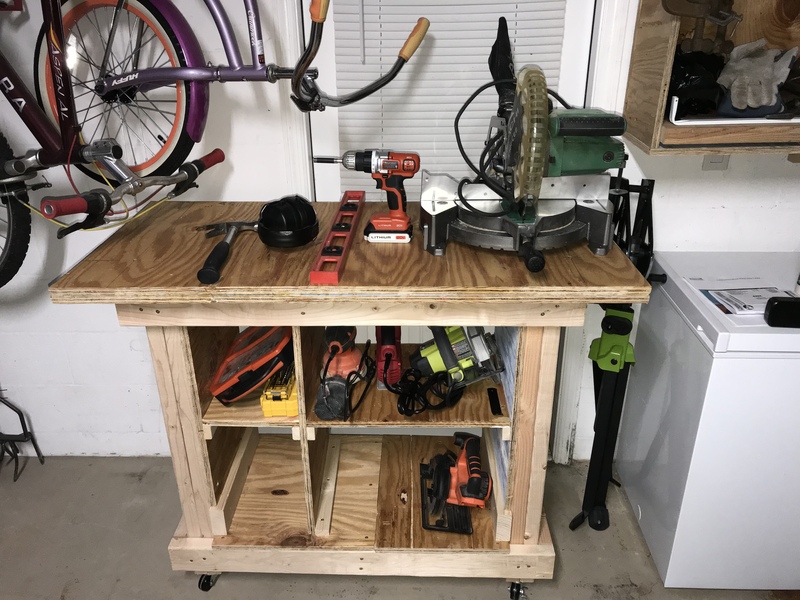 Here, I have it set up on top of one of my new toys I bought for Christmas – a Ridgid Table Saw (insert Tool Man grunt sounds here…). 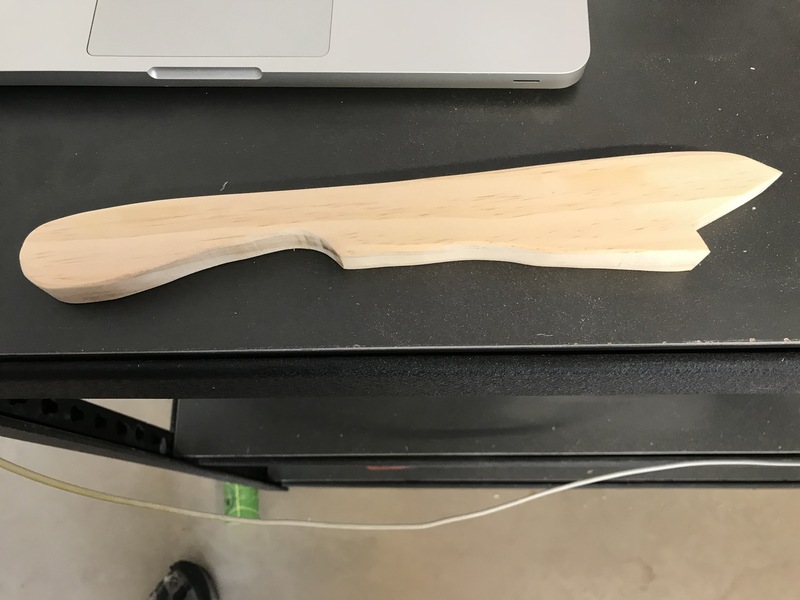 I have nowhere to do my work. 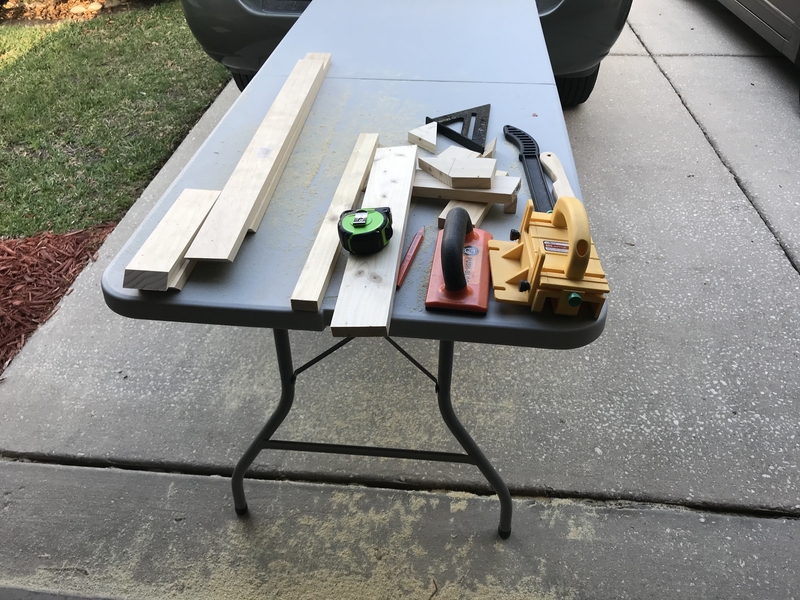 Here you see me setting up shop on top of my Hillsborough County garbage can. 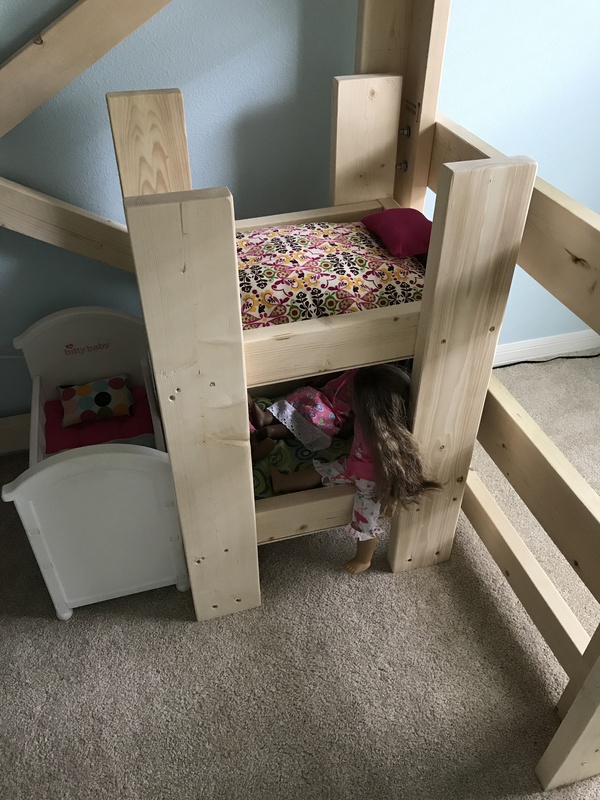 Not a lot of space, great height, though! 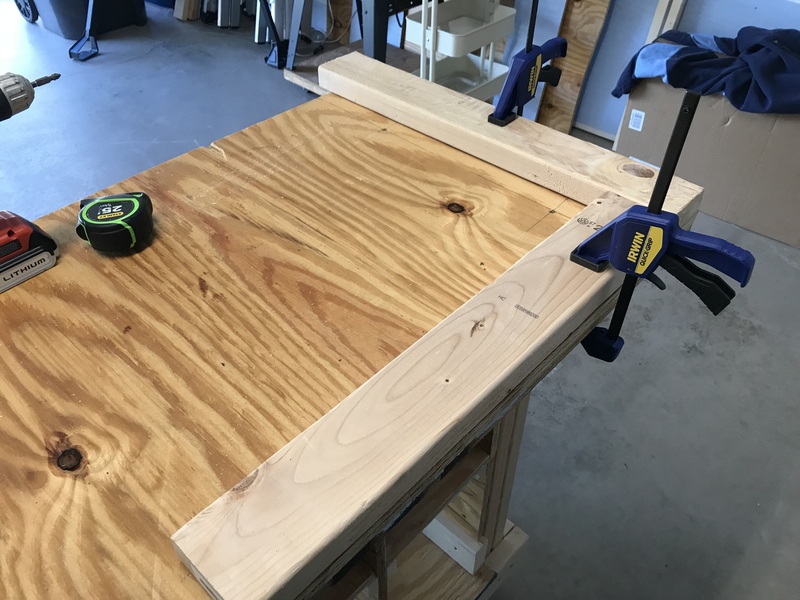 This is why I need a workbench. 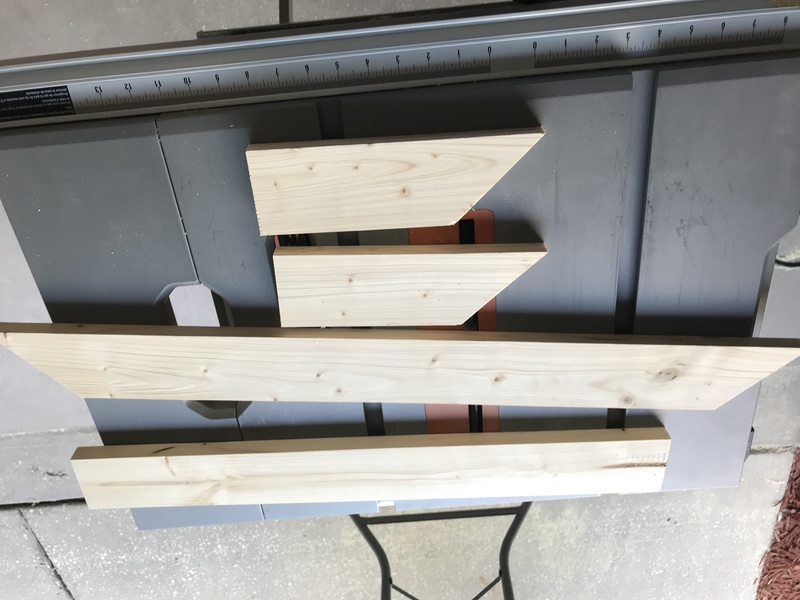 To assemble the legs, I took some 2x4s and glued them together, then put some screws through them. 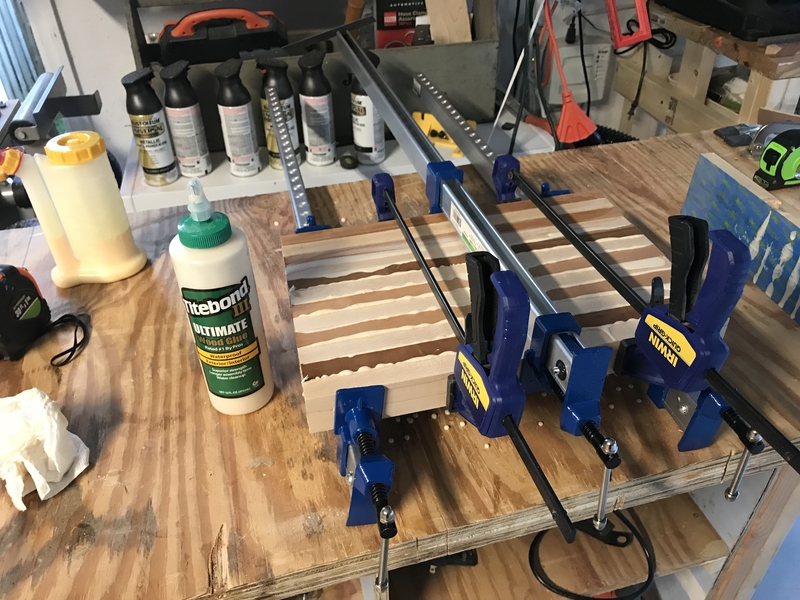 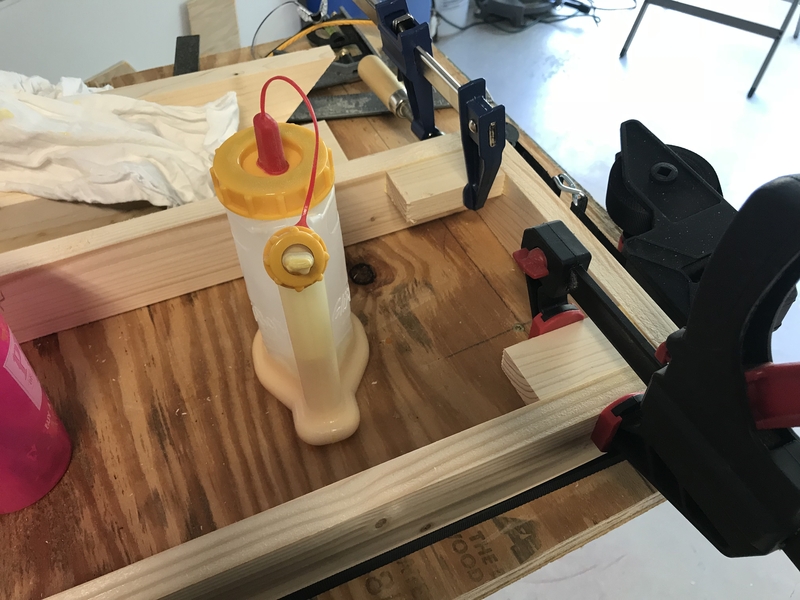 I spread the glue out, clamped them together, and then put some screws through them. 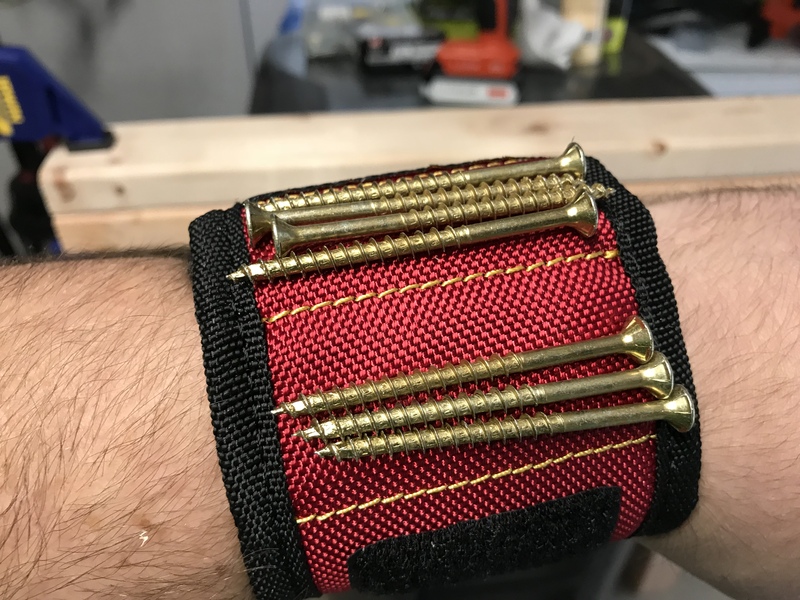 I have to stop here and brag about one of the really cool Christmas gifts I received this year – a magnetic wristband. 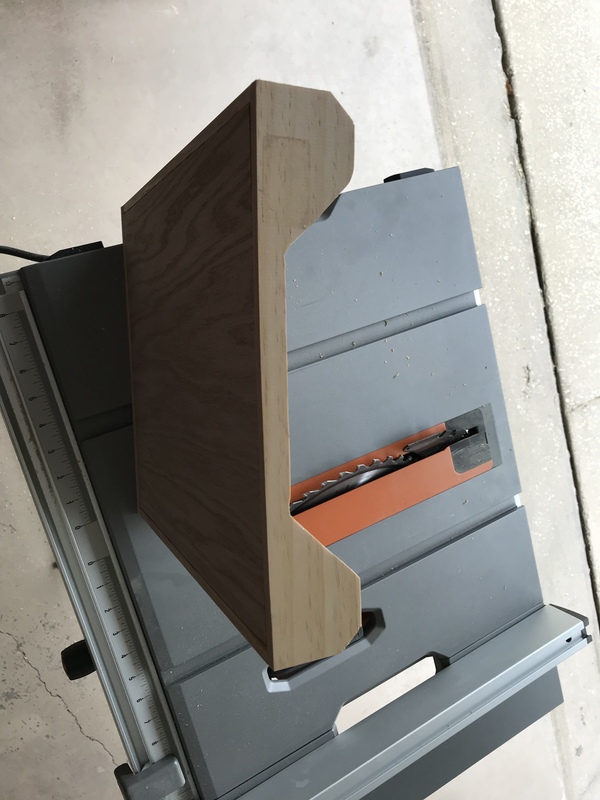 It makes work so much easier and is not very bulky at all. 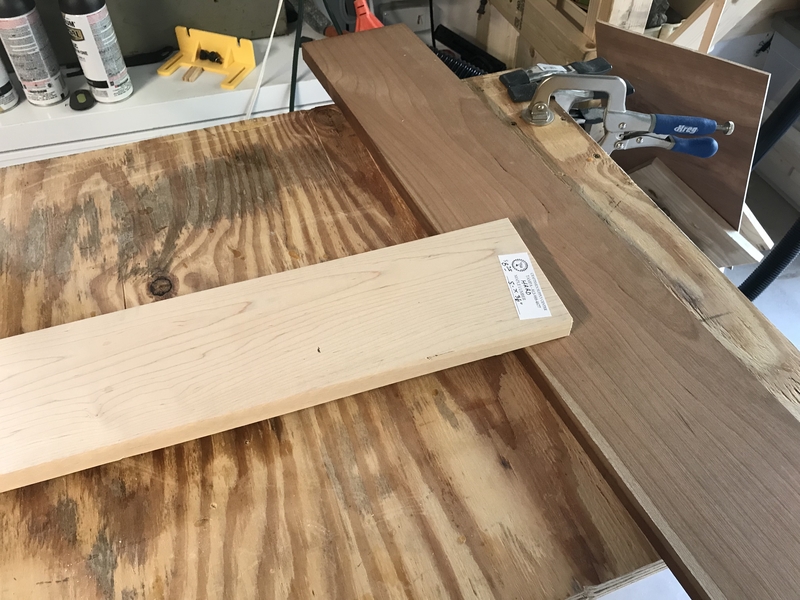 The next part was to start cutting up the pieces that would be used for shelving and surfaces. 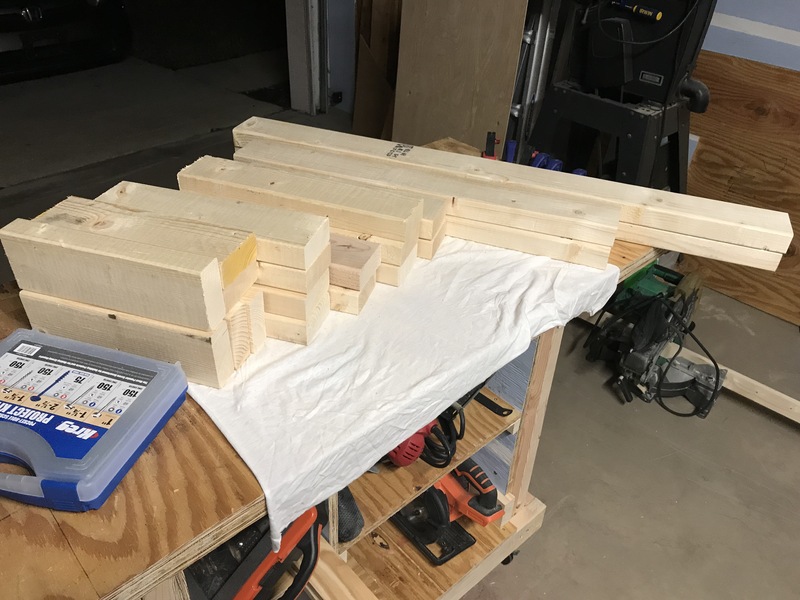 I have to admit, I was not looking forward to this. 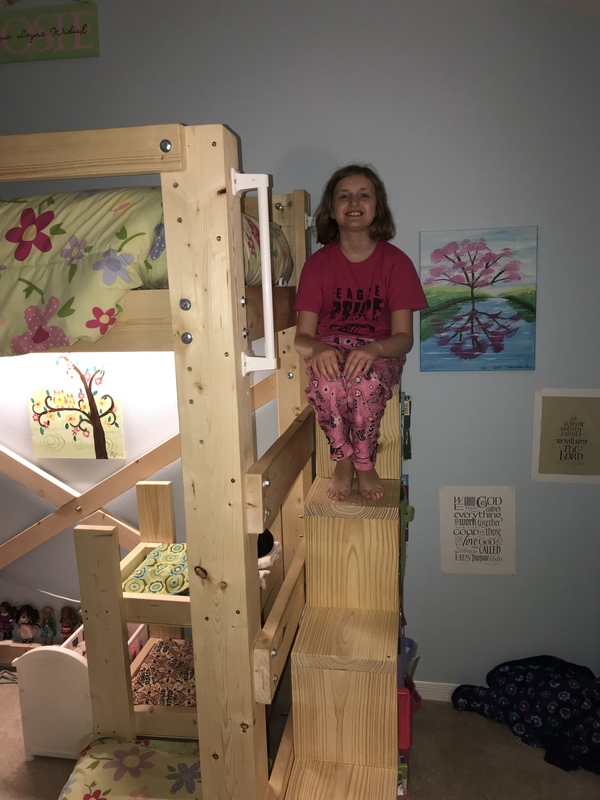 Back when I built Josie’s loft bed, I had purchased a Black and Decker circular saw that was battery operated. 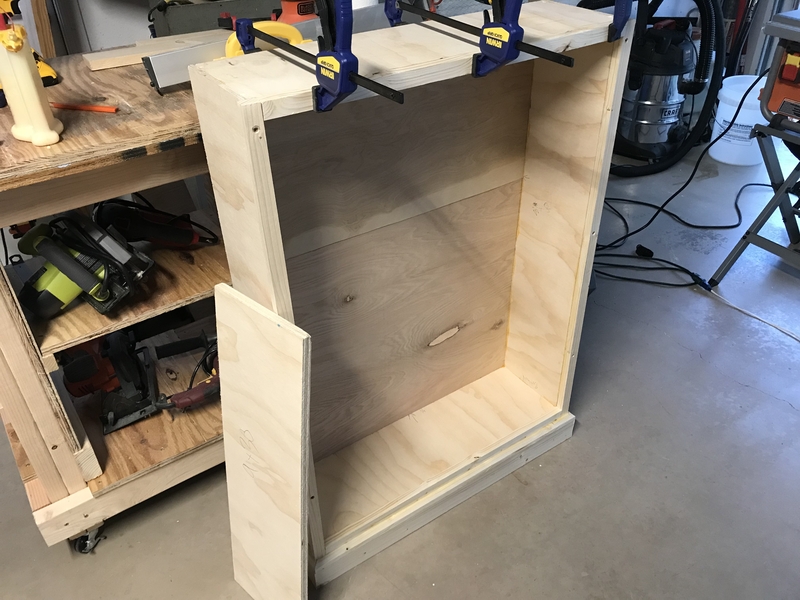 I thought it would make things a lot easier. 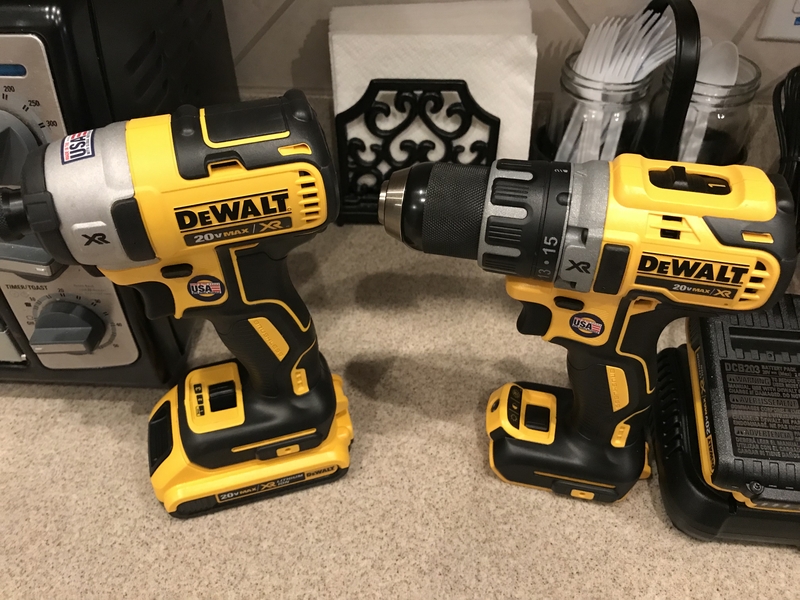 I bought Black and Decker because I already had an investment in the Black and Decker family, and I have 4 of their 20-volt batteries. 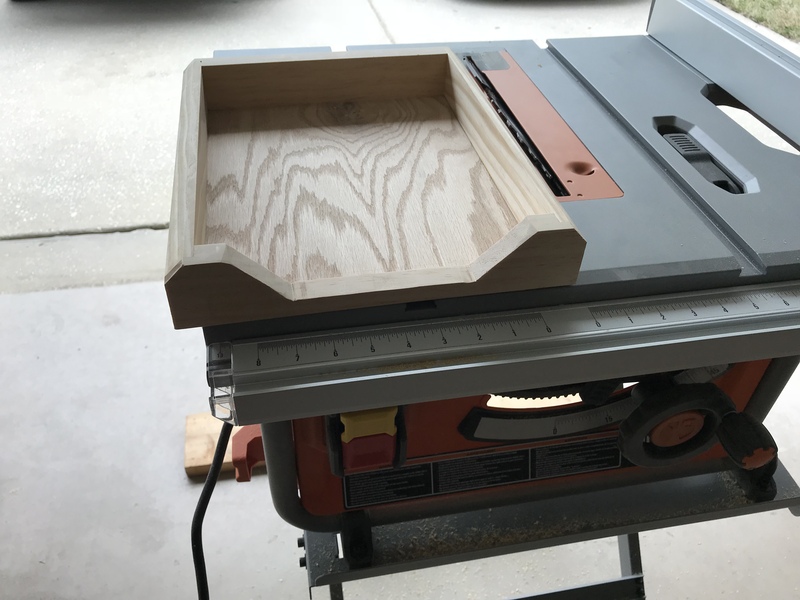 What I discovered, sadly, was that the Black and Decker battery powered circular saw was simply not a good tool. 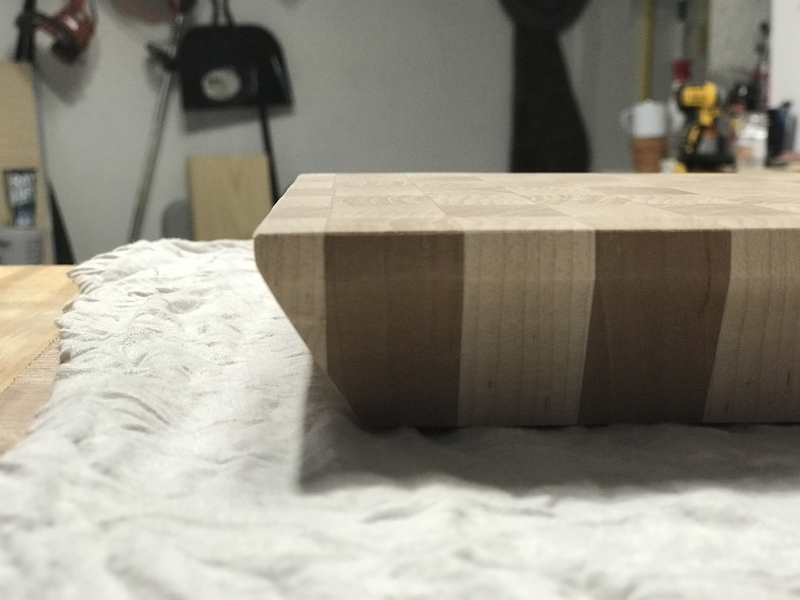 It cuts slow, loses power quickly, and would often stop and bind up due to lack of power. 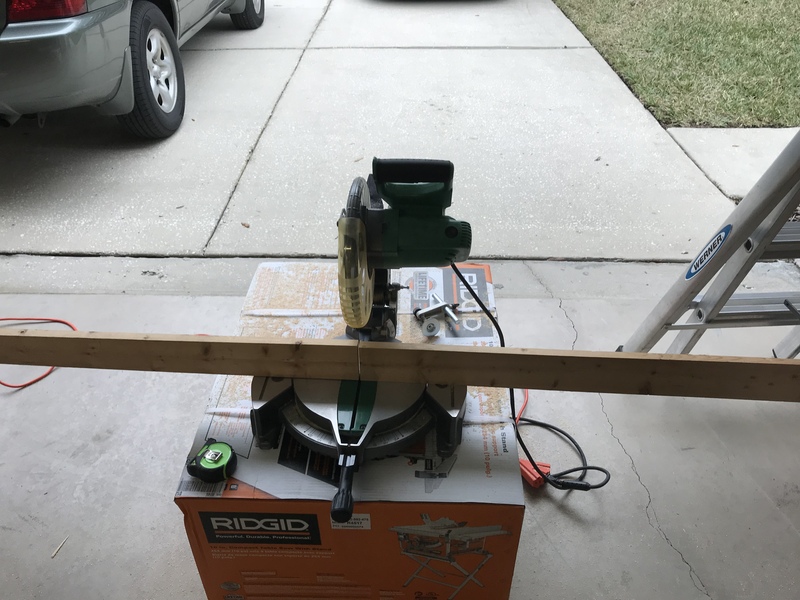 So I went and bought me a new corded circular saw – a Ryobi, with laser guidance. 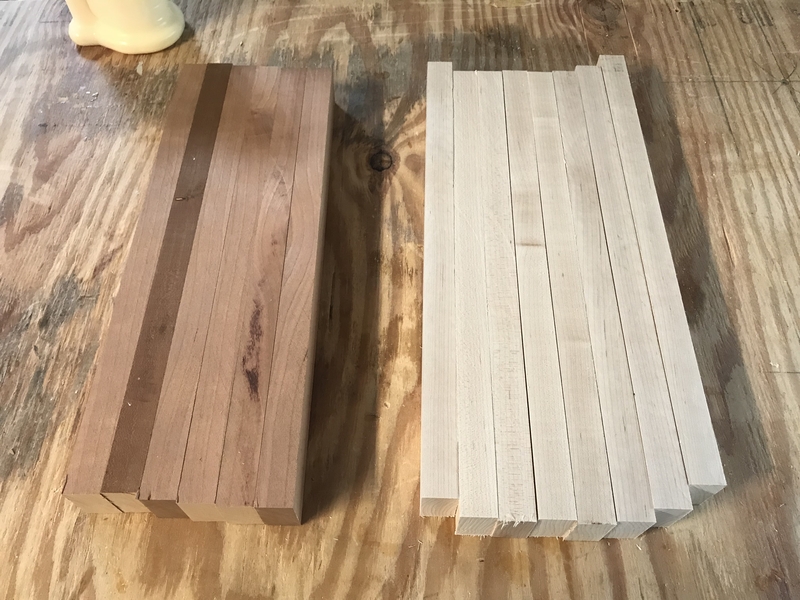 It made a HUGE difference. 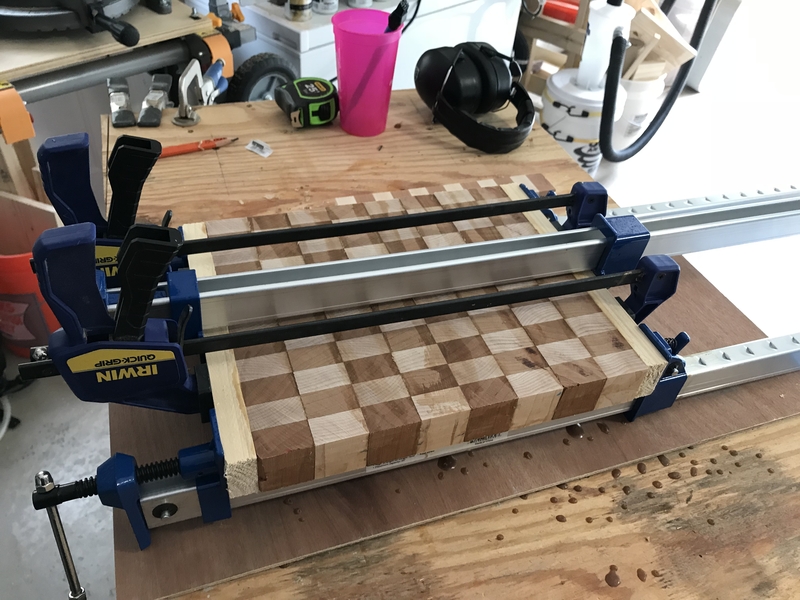 I know there are better, more powerful saws out there, but for $40 – you can’t go wrong. 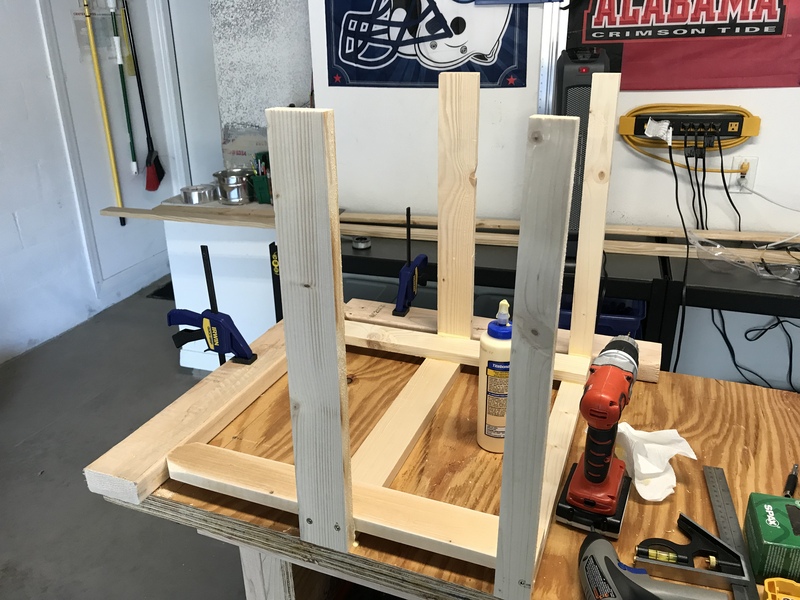 I set my discarded hurricane boards up in my Rockwell JawHorse, which I still think is one of the best investments you can make. 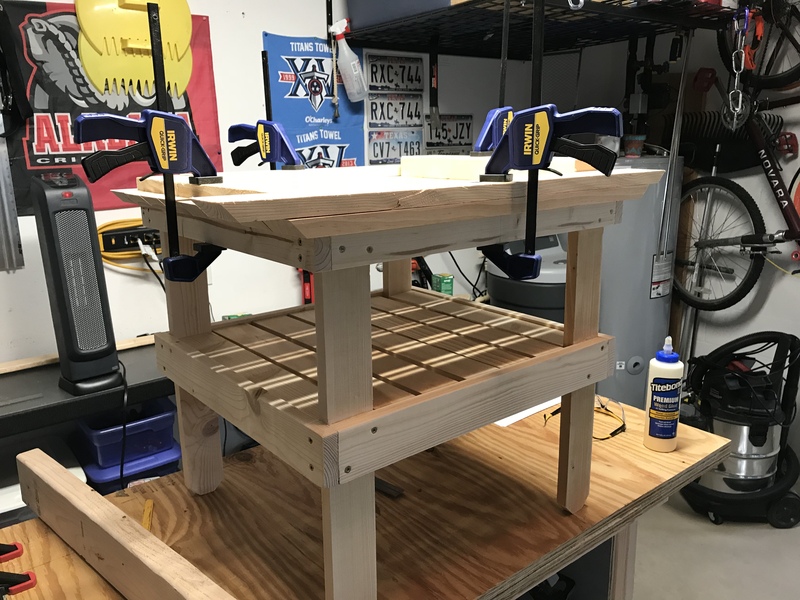 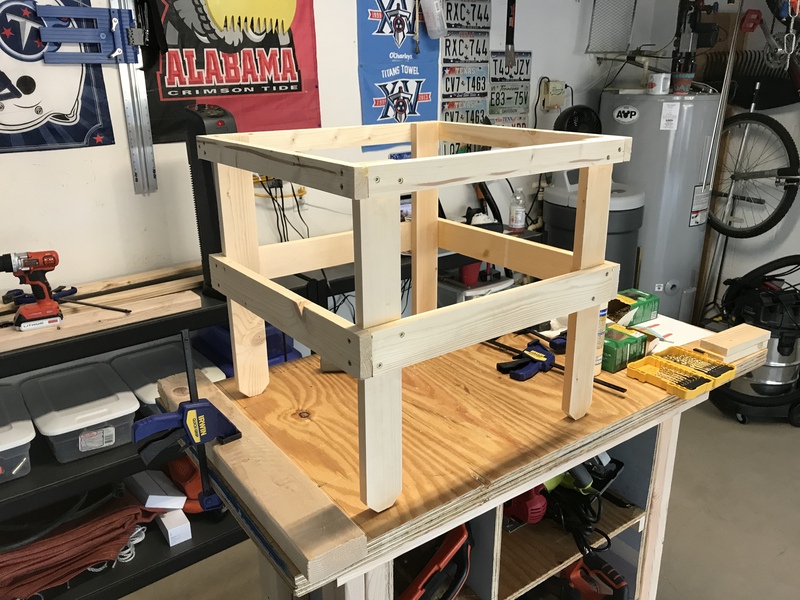 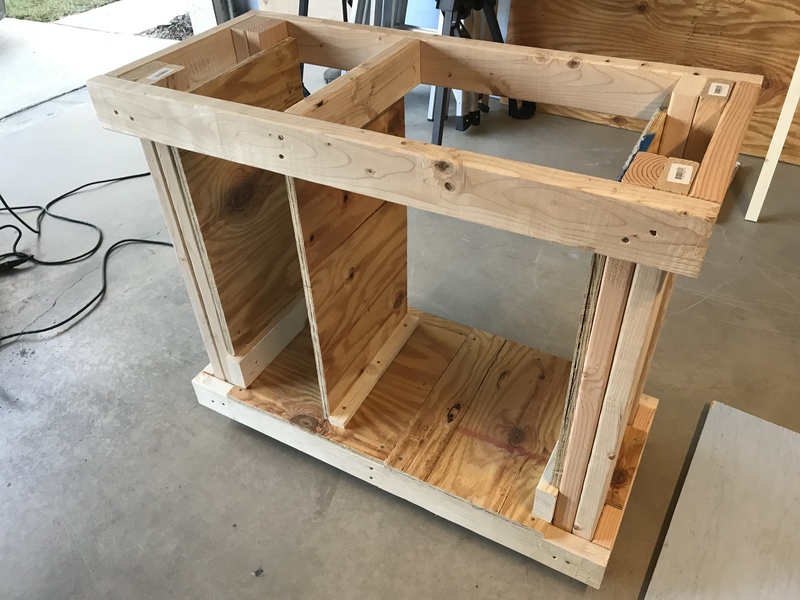 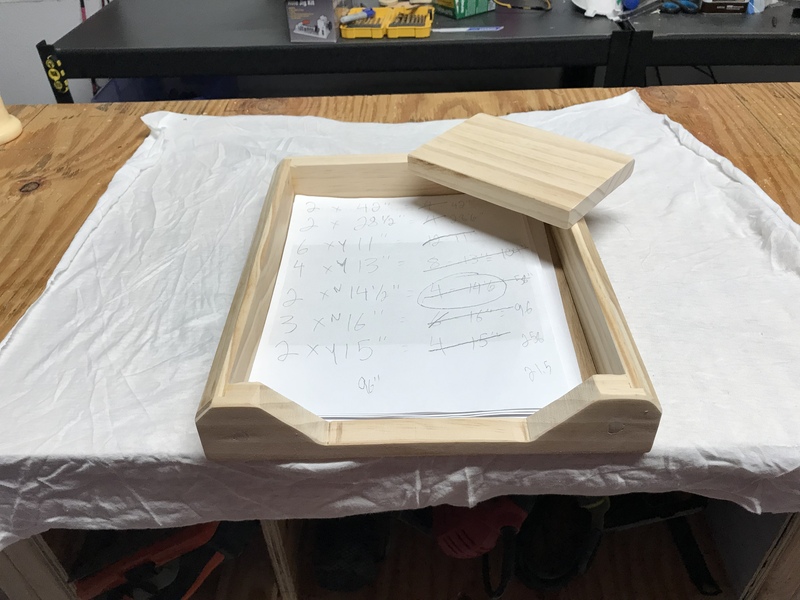 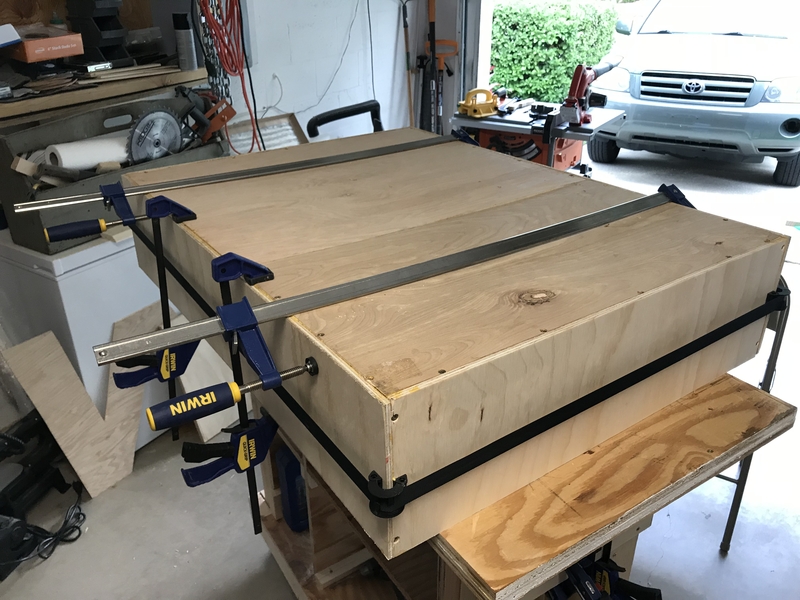 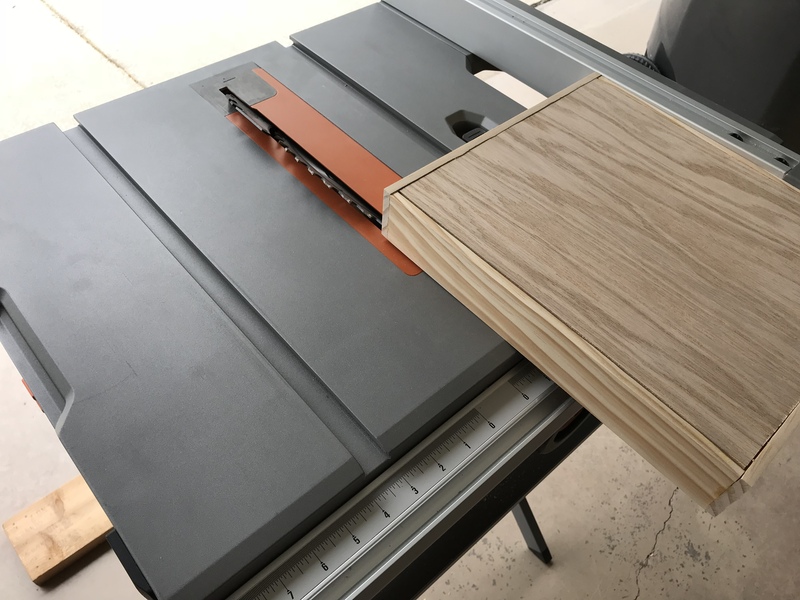 I used the top of another plywood sheet in my Rockwell JawHorse for a workstation to make it easier for me to do the work. 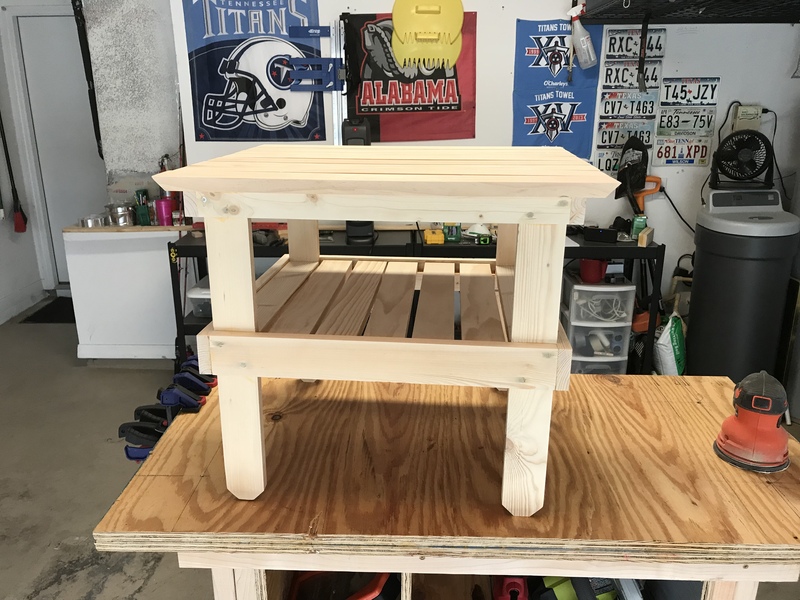 The last part of this was to put the top piece on for my work surface and put the wheels on it. 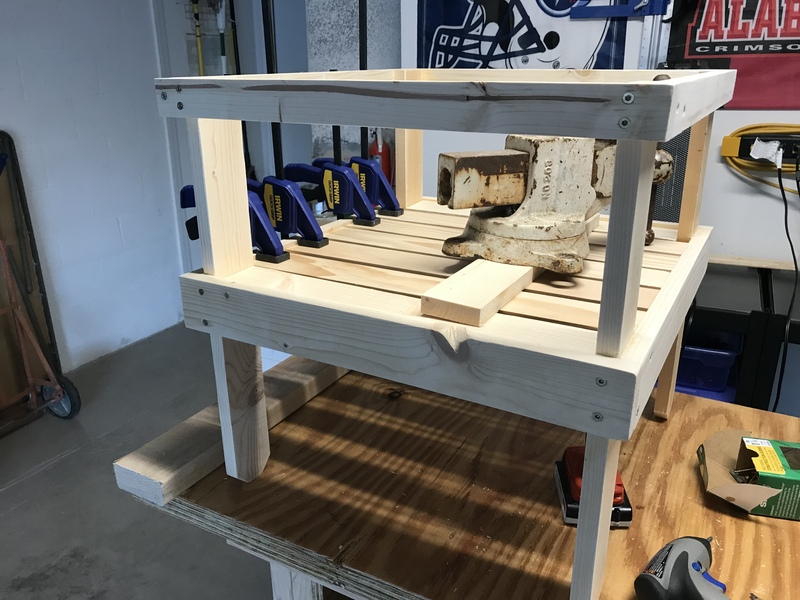 Listen, a workbench isn’t made to be “pretty.” It’s made to be used, abused, worked on, and create art. 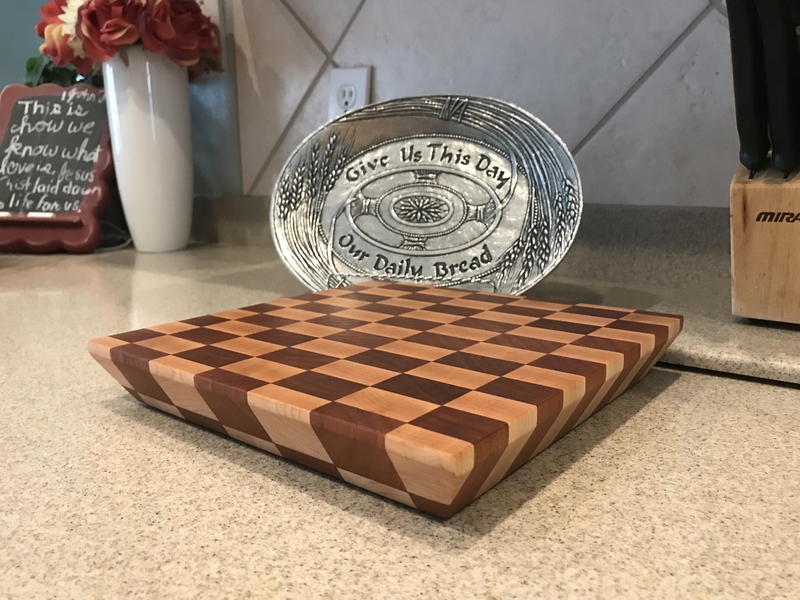 Here’s to many more projects in the future!! 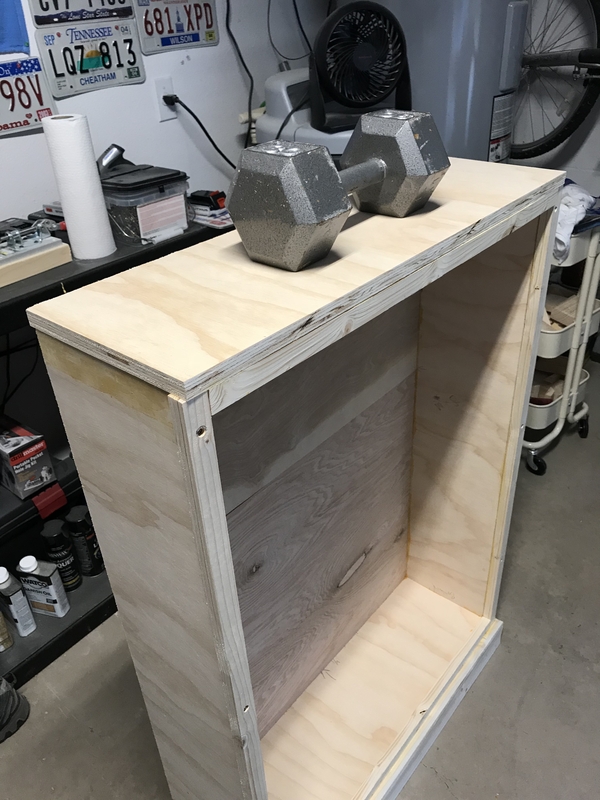 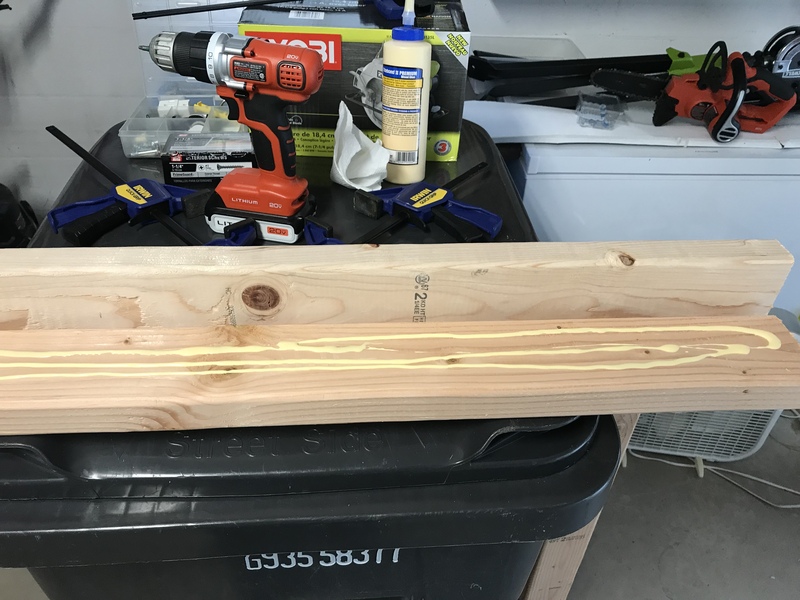 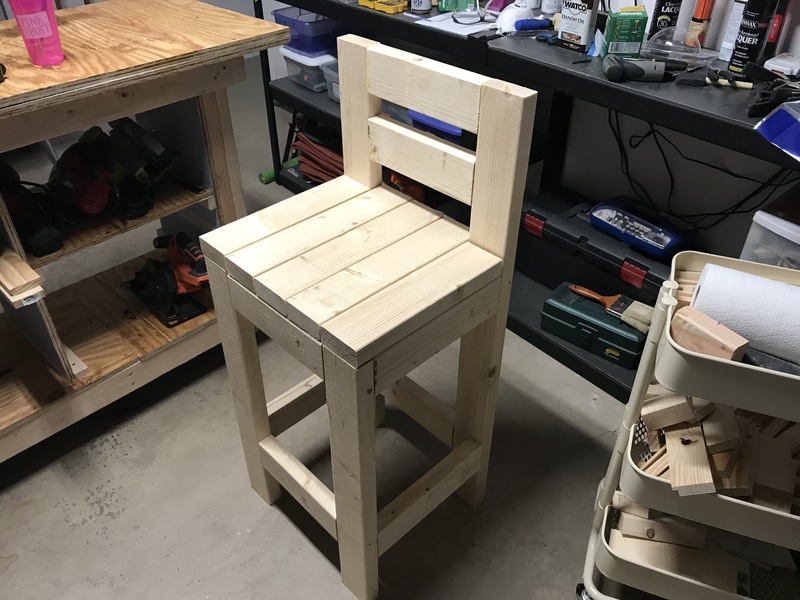 So recently, I started trying to do some woodworking projects around the home. 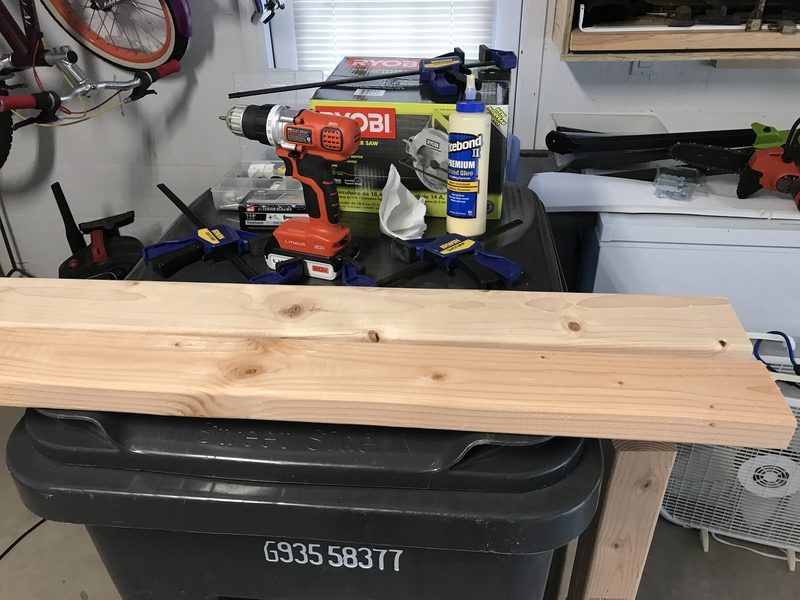 I successfully made a loft bed for my daughter, and I made some floating shelves for our bathroom. 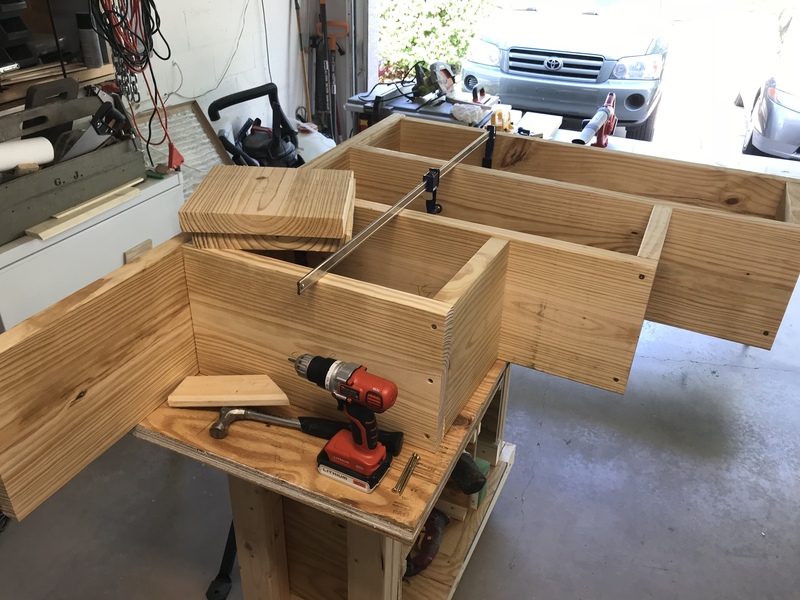 I also have been in a real bind about garage storage. 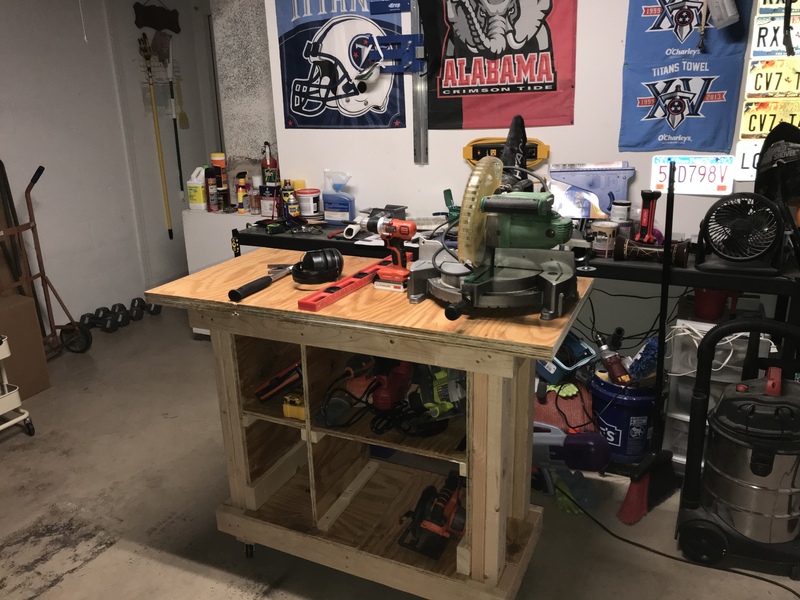 We’re not one of those families that throws everything in the garage. 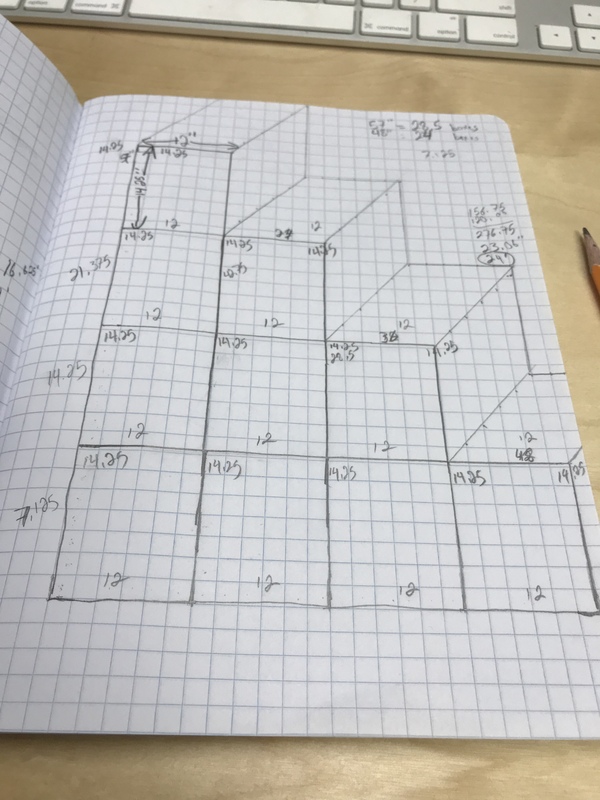 We like that space to be usable instead of just a giant hot storage room. 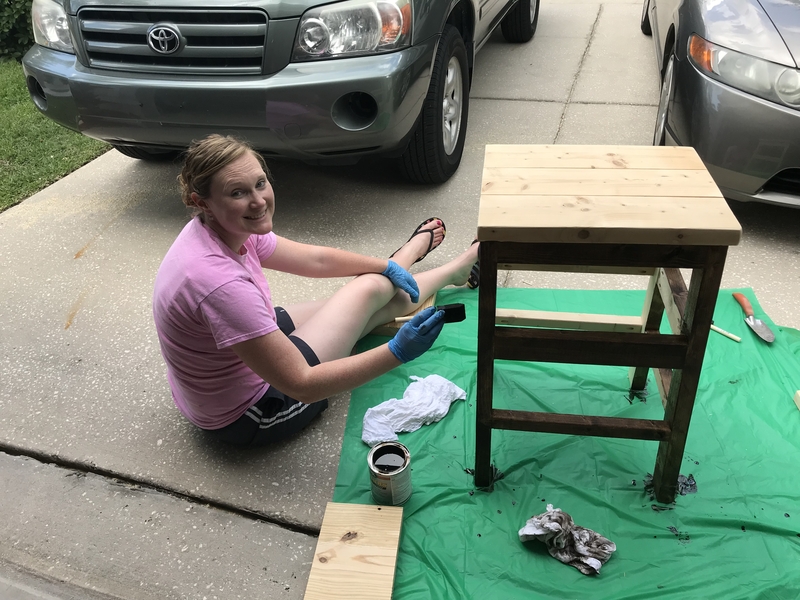 Plus, I want to do more projects for around the house. 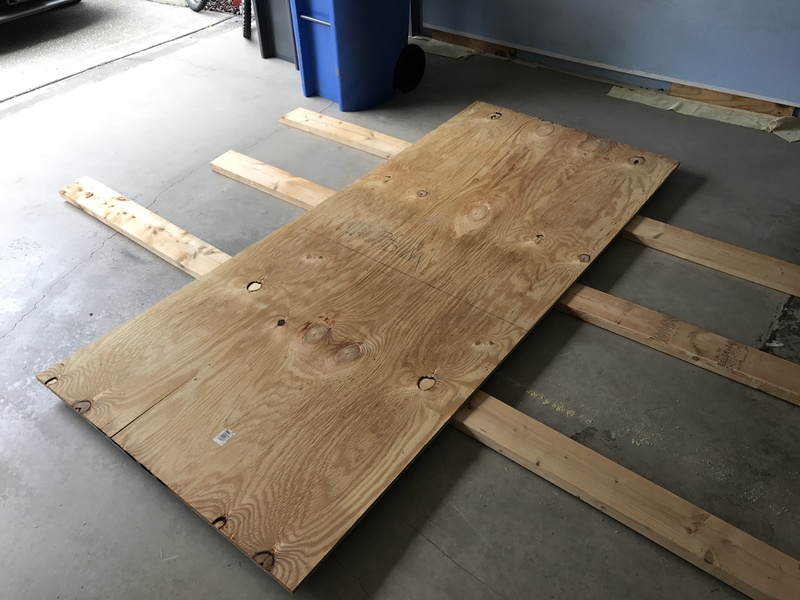 The plywood that had been cut out for windows in case of a storm. 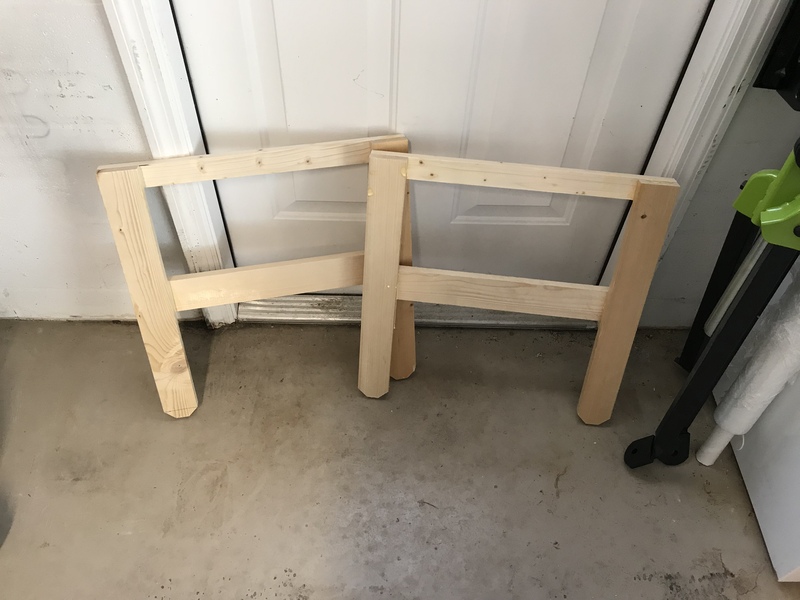 These take up about 18 inches of space from the wall, and the front part go from floor to ceiling. 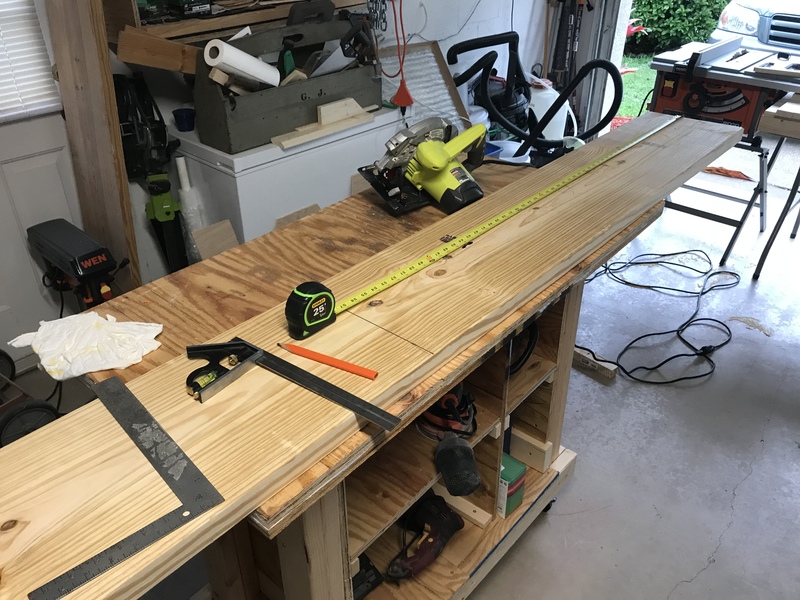 They run almost the entire length of the garage, too. 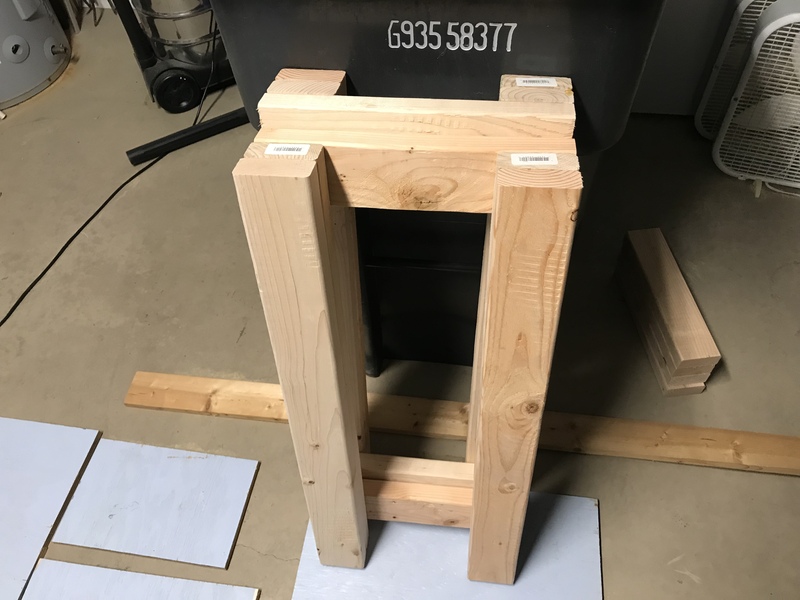 I decided that I wanted to try to find a use for them – since there is no where else to store them. 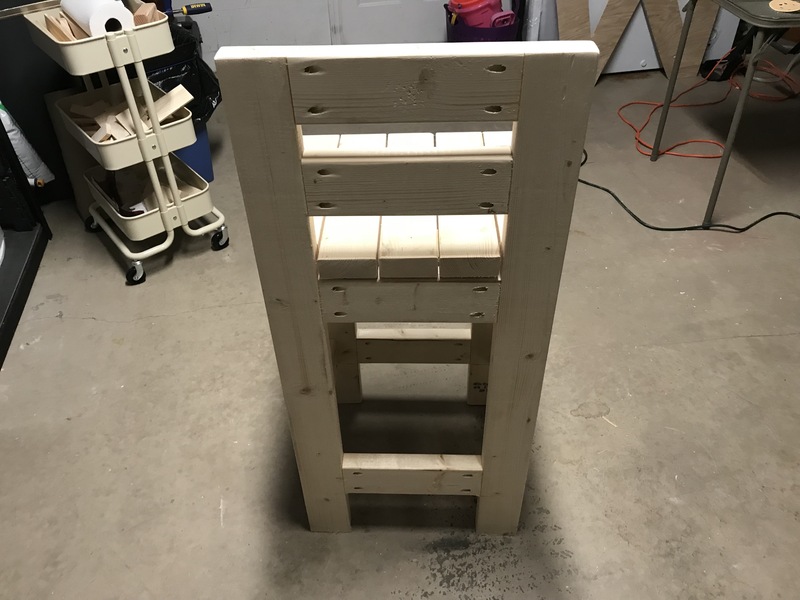 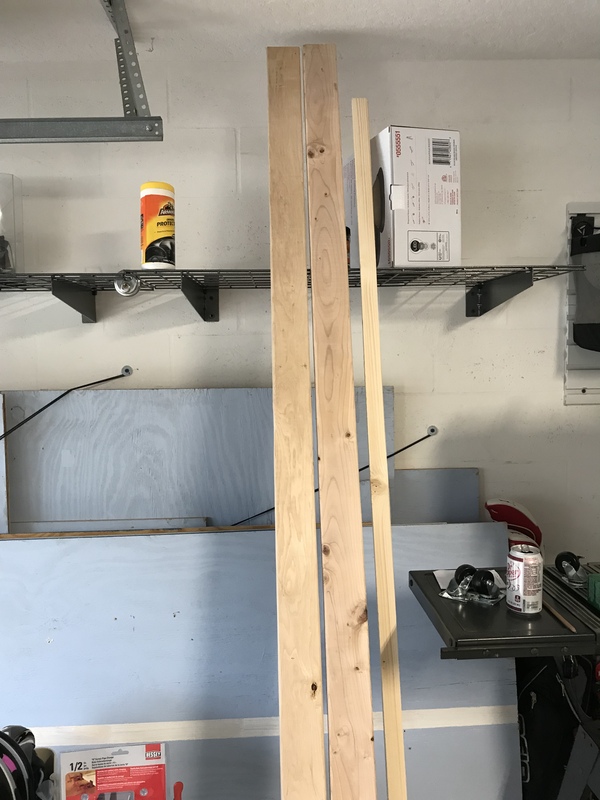 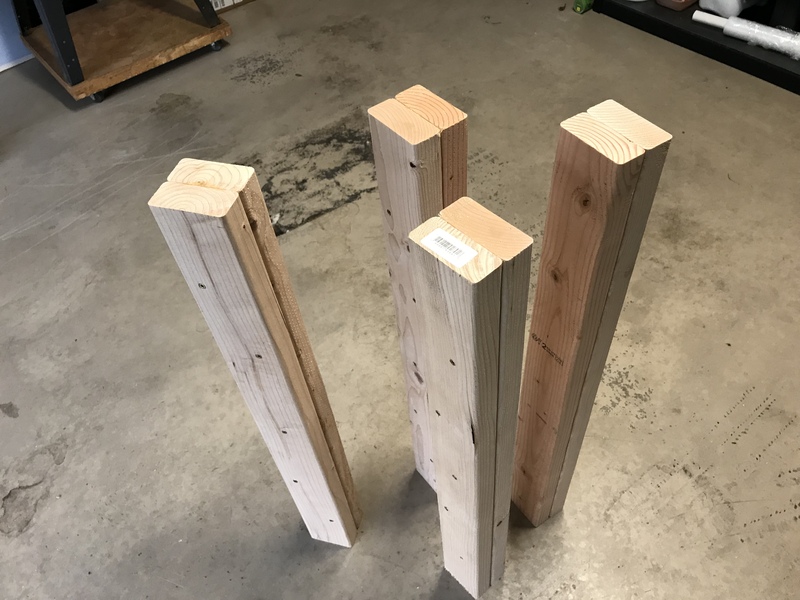 As I looked around the garage, I decided that I could use some of the wood to make some shelving for this part of the garage. 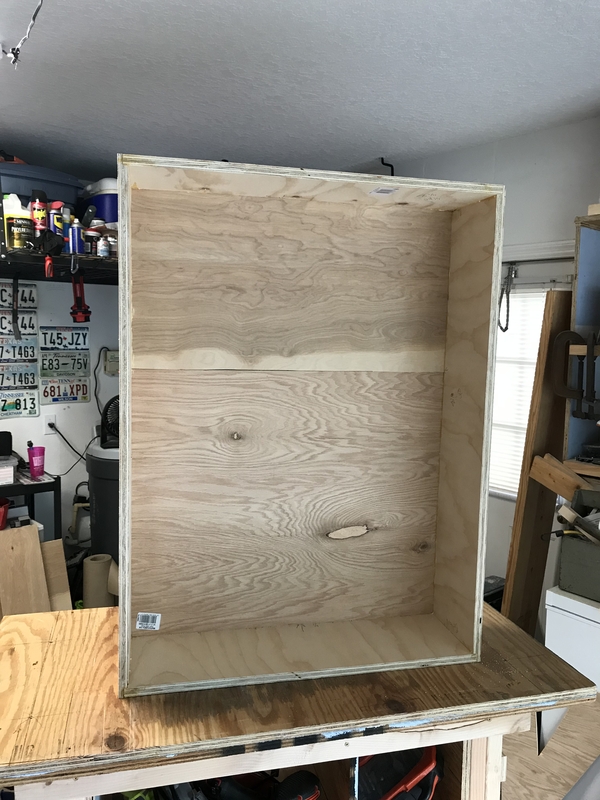 Blank wall that needed some storage. 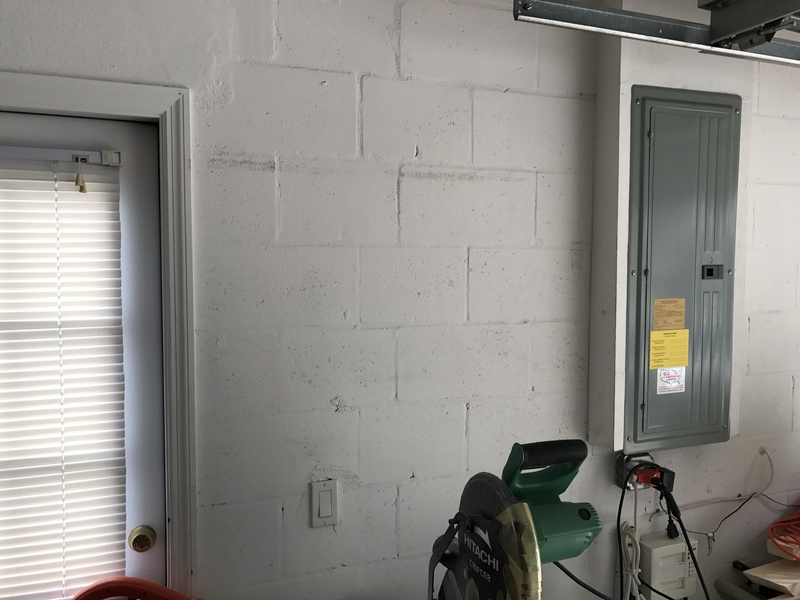 Our garage is already on the small side. 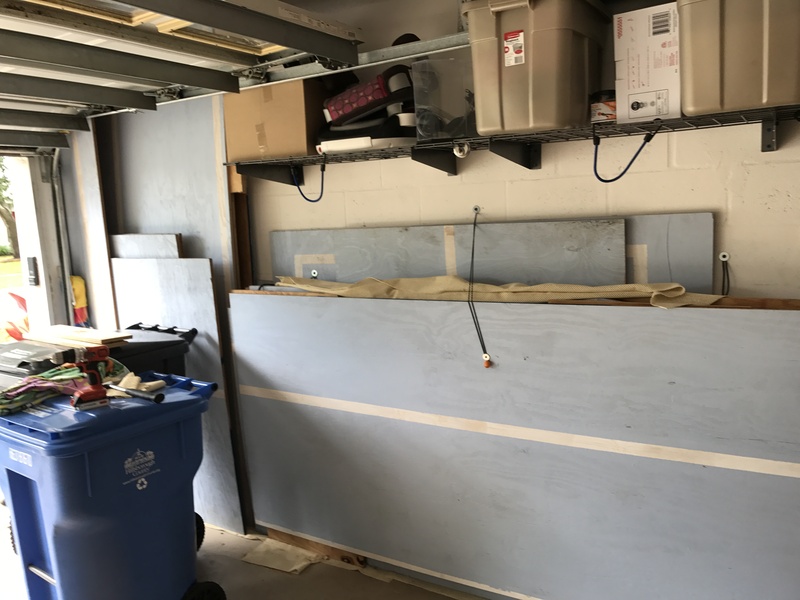 It’s a “double” garage, but there’s no way we’d ever fit two cars in it. 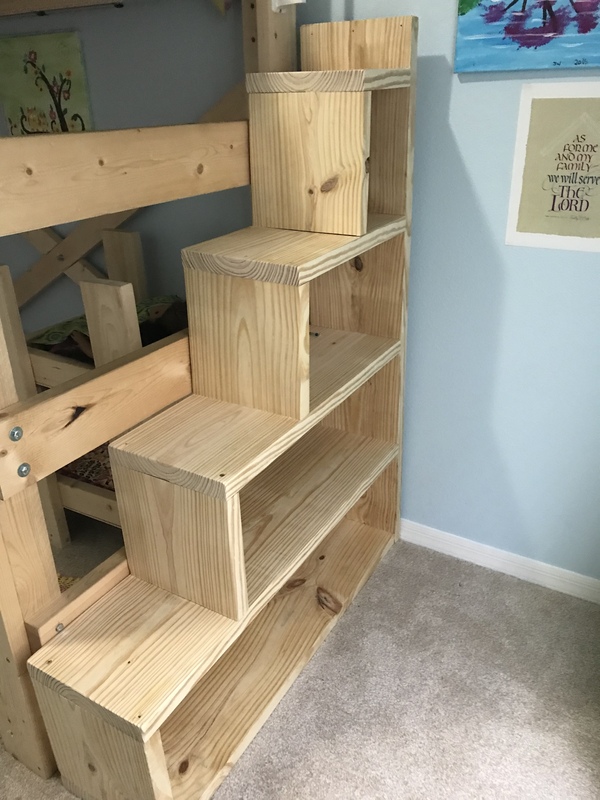 So storage is a great idea. 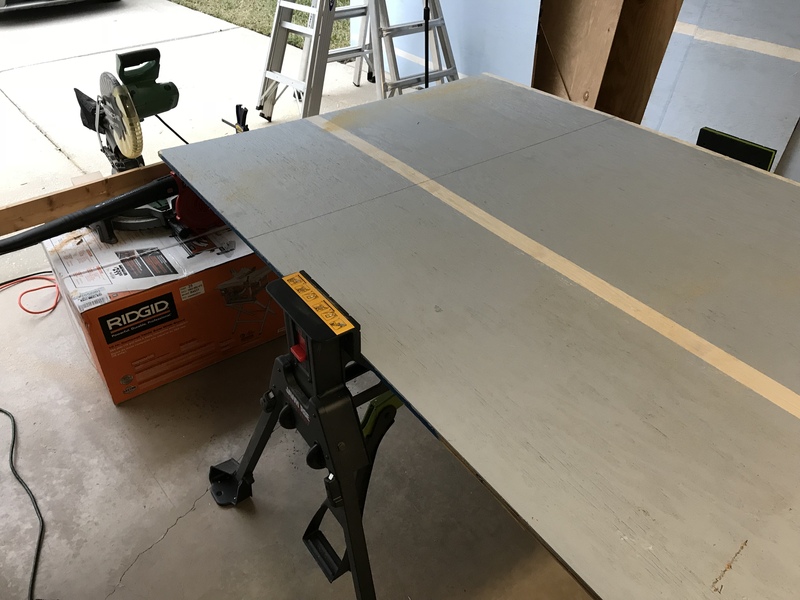 This spot had nothing on it, so I figured it was time to be creative. 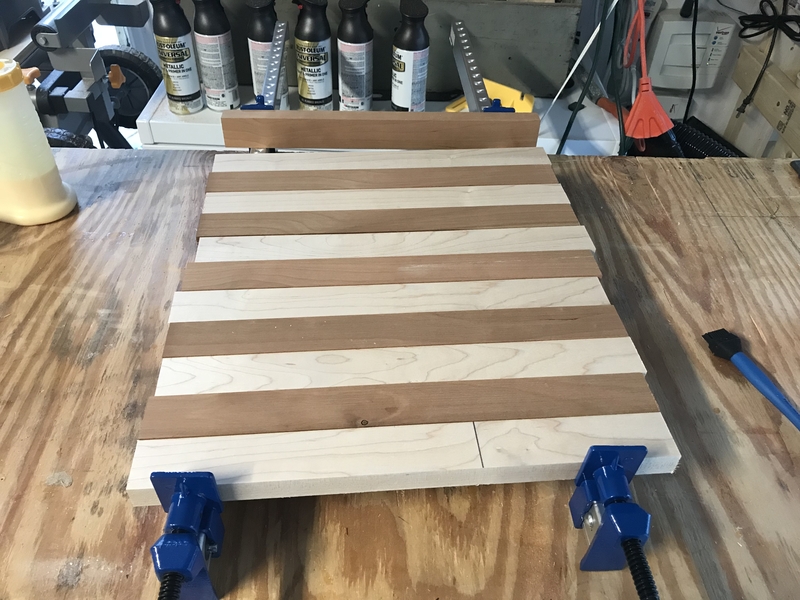 I started by grabbing one of the sheets of plywood. 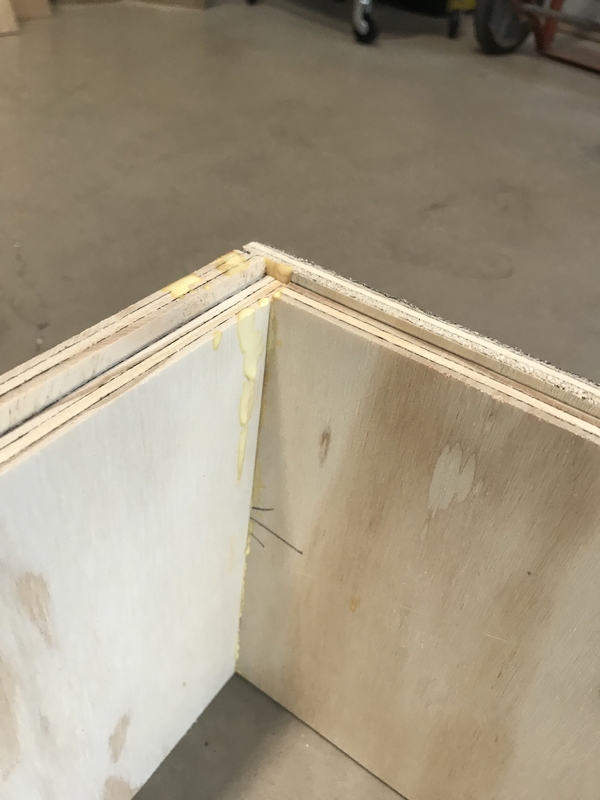 It’s 3/4″ plywood, but like I stated, parts of it are warping and breaking apart. 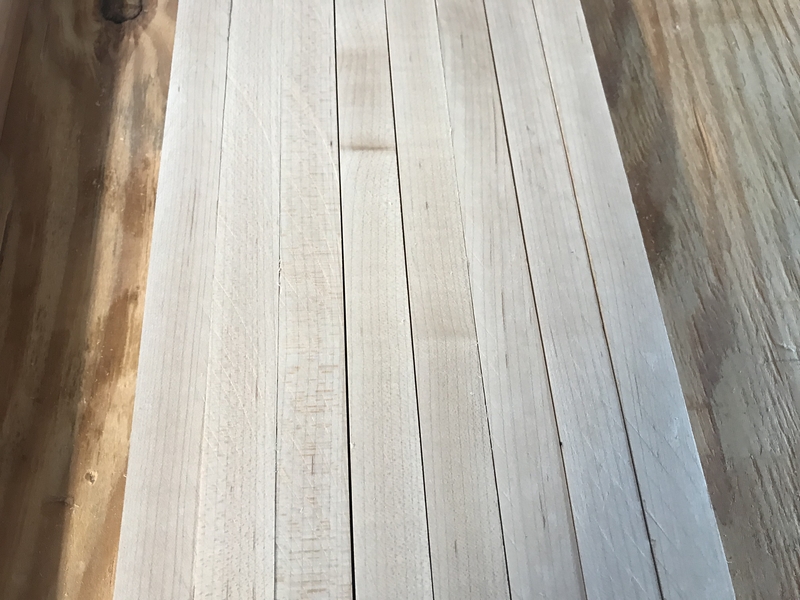 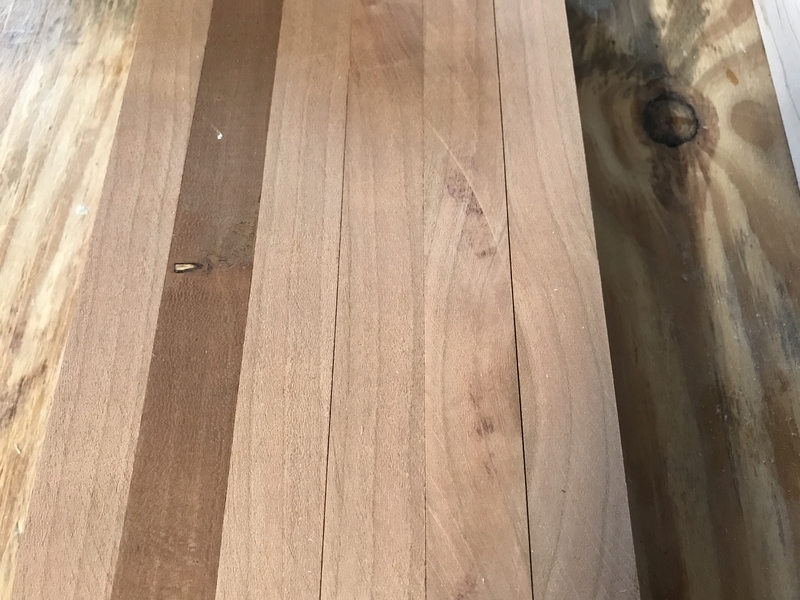 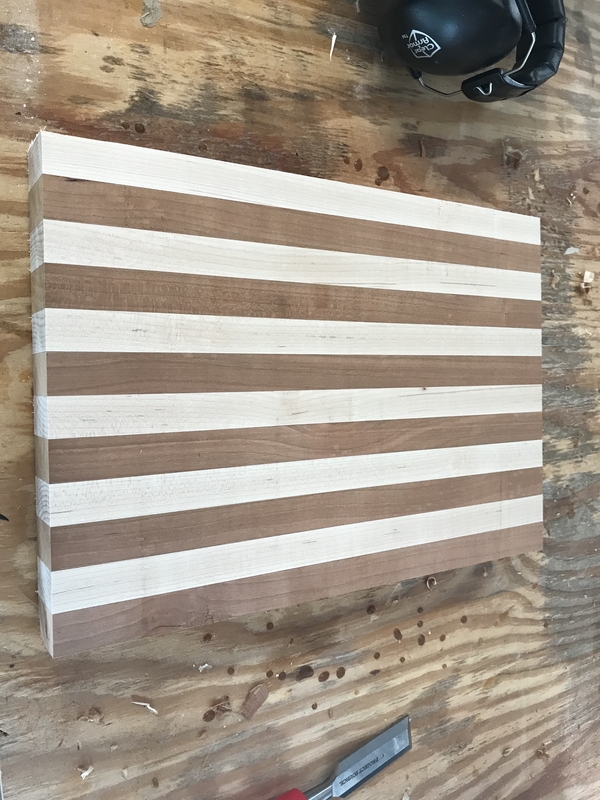 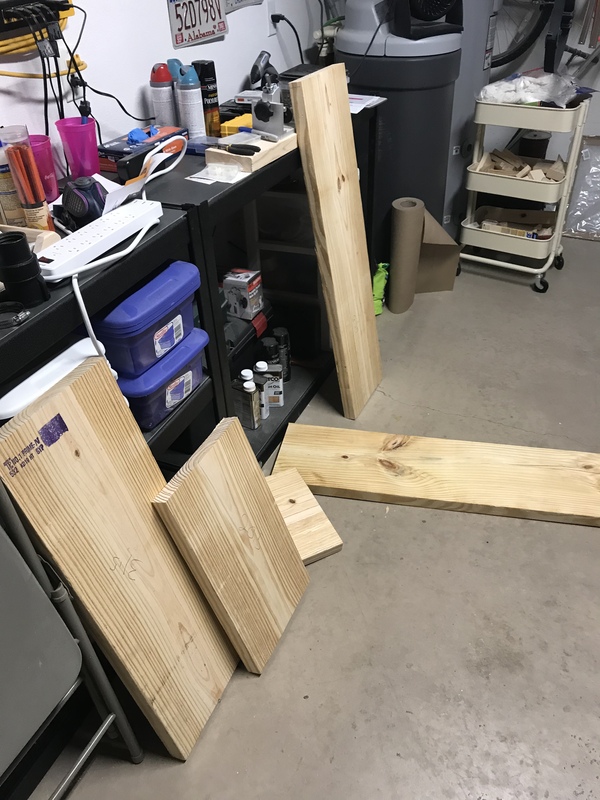 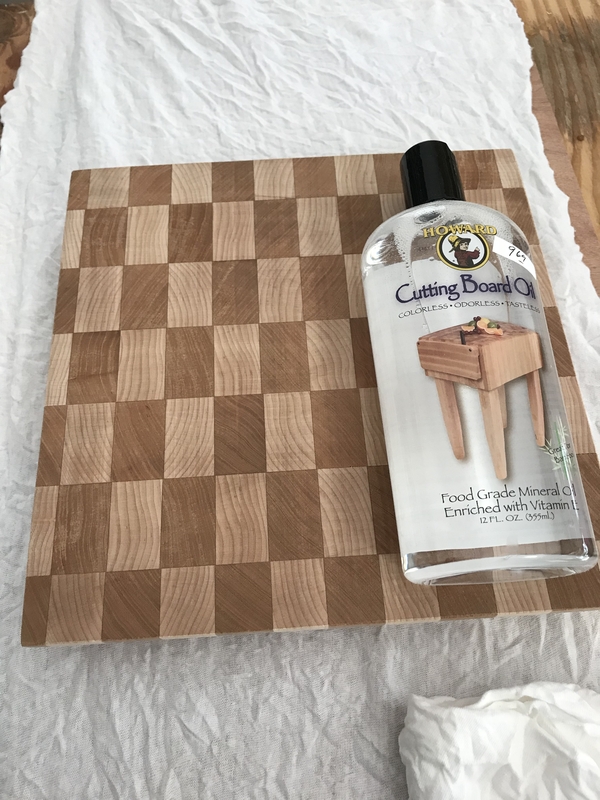 After I found a good piece, I laid some boards on the floor, and grabbed my circular saw, and measured out what I wanted. 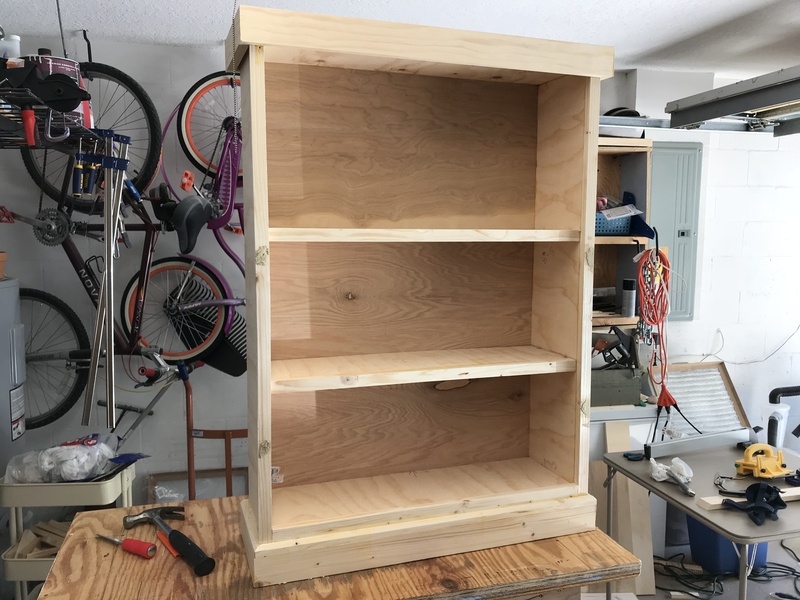 It was going to be about a 42″ x 42″ open cabinet. 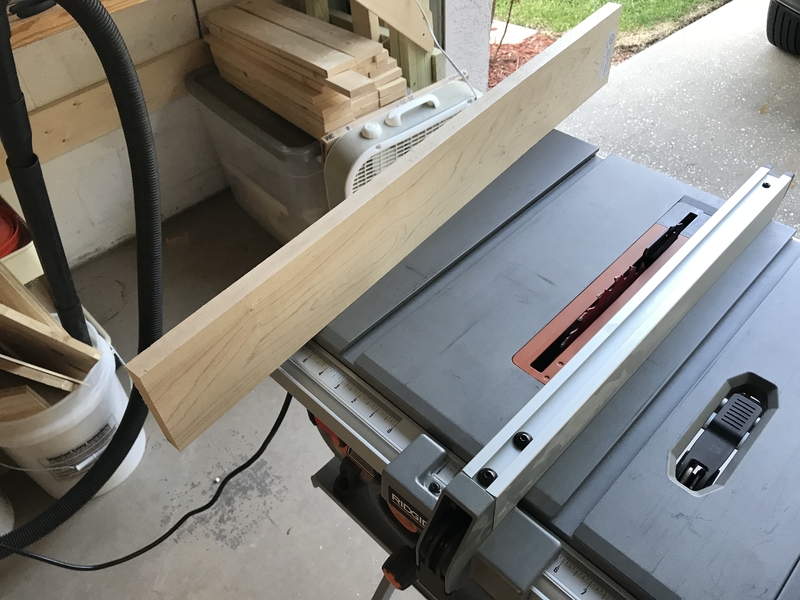 Here’s where I learned a few things: circular saws are a great tool, but they’re not the best for making accurate, long cuts. 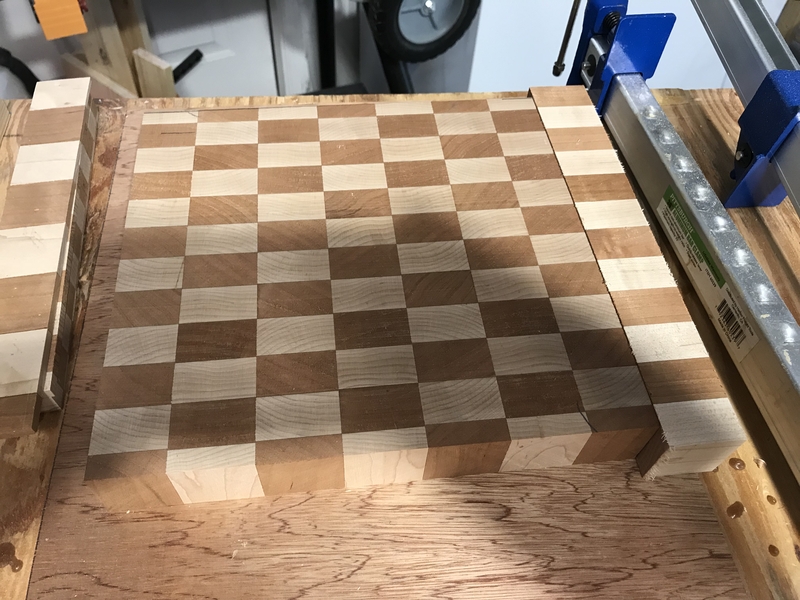 After all was said and done – I ended up using some extra 2×6 boards to reinforce it. 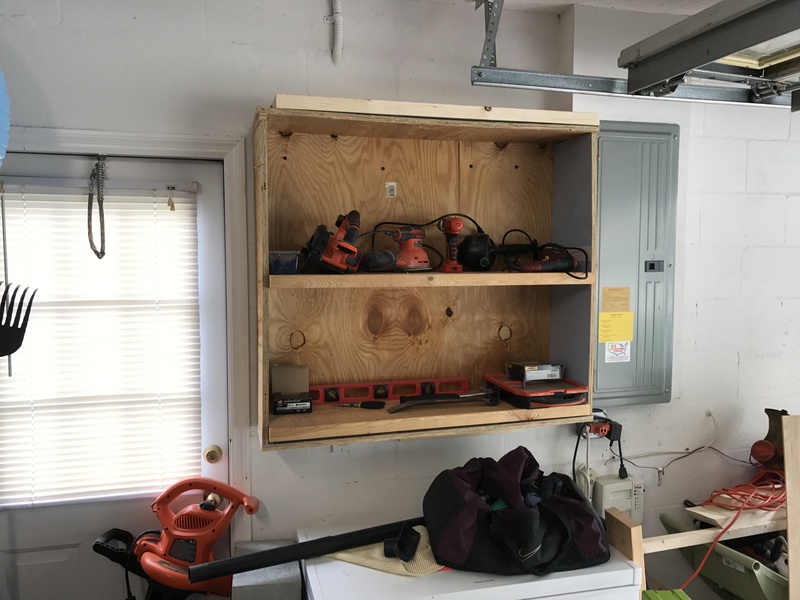 It’s easy to mount things on the wall in the garage since it’s all cinder block walls. 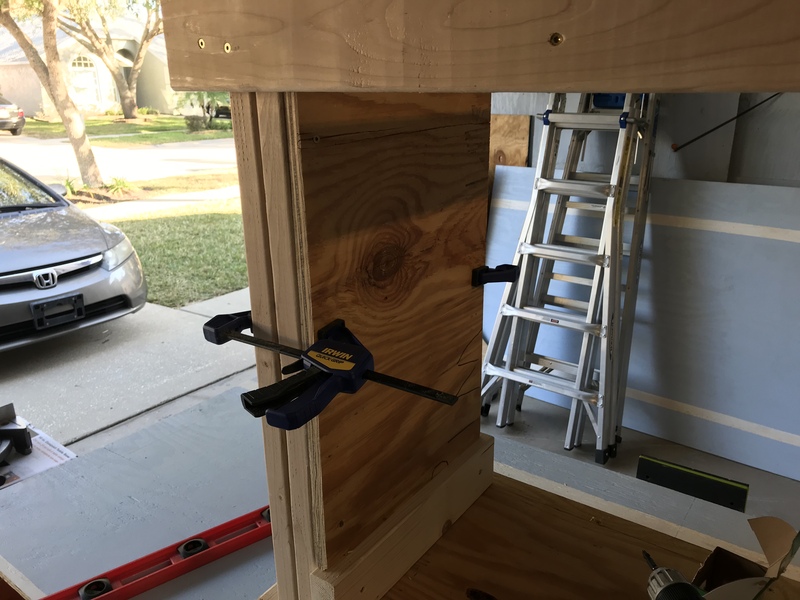 I don’t have to find the studs, I just have to make sure I avoid any electrical wires!